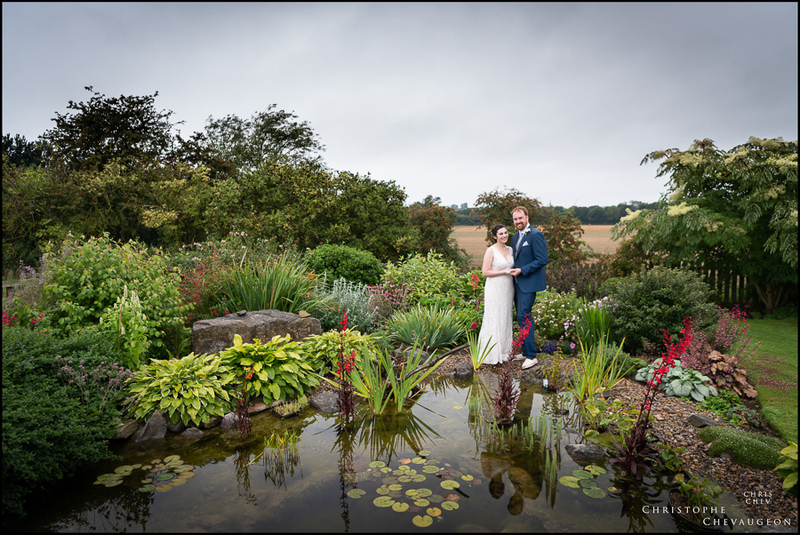 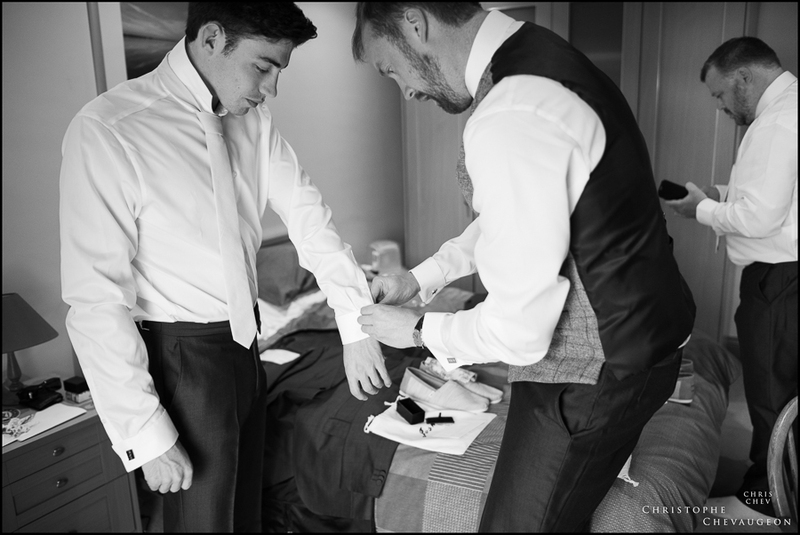 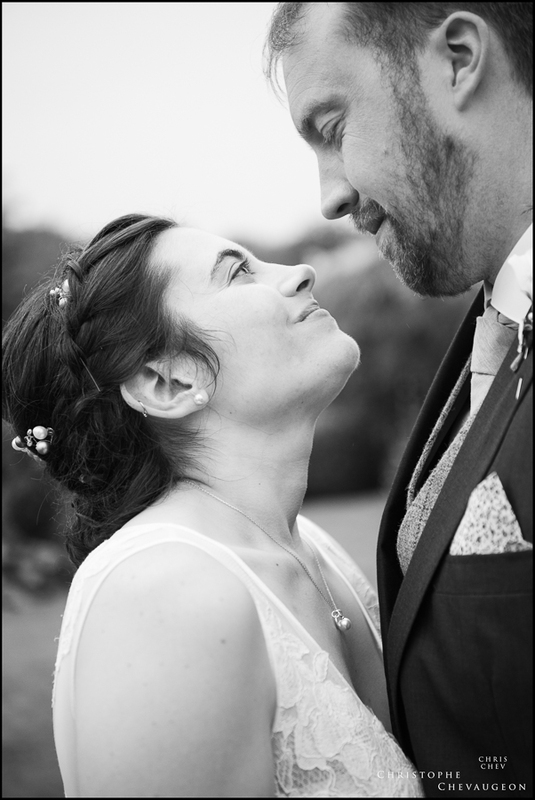 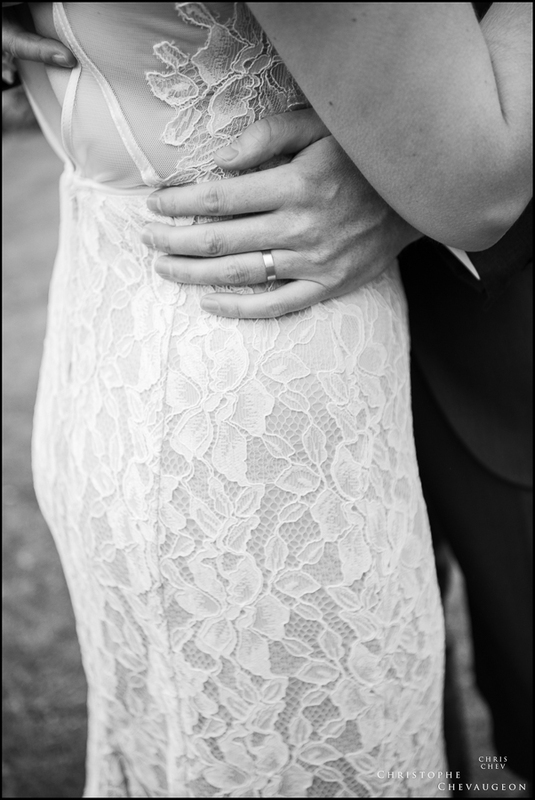 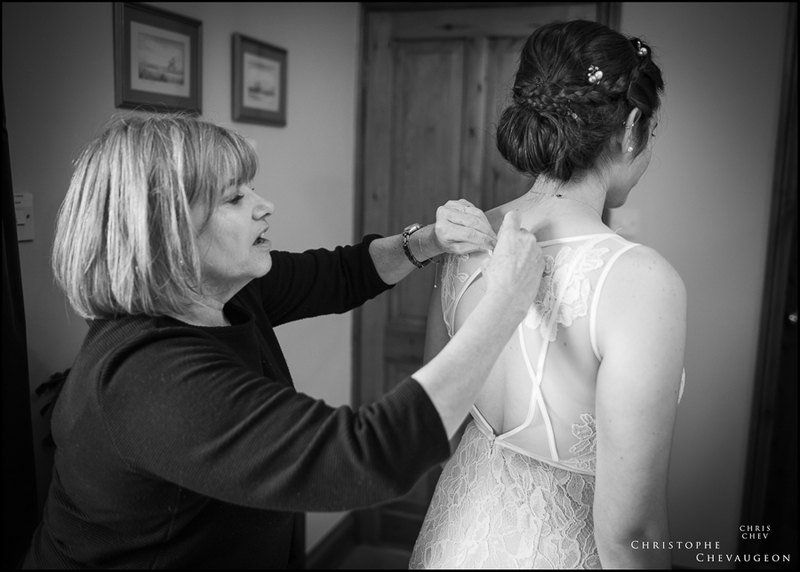 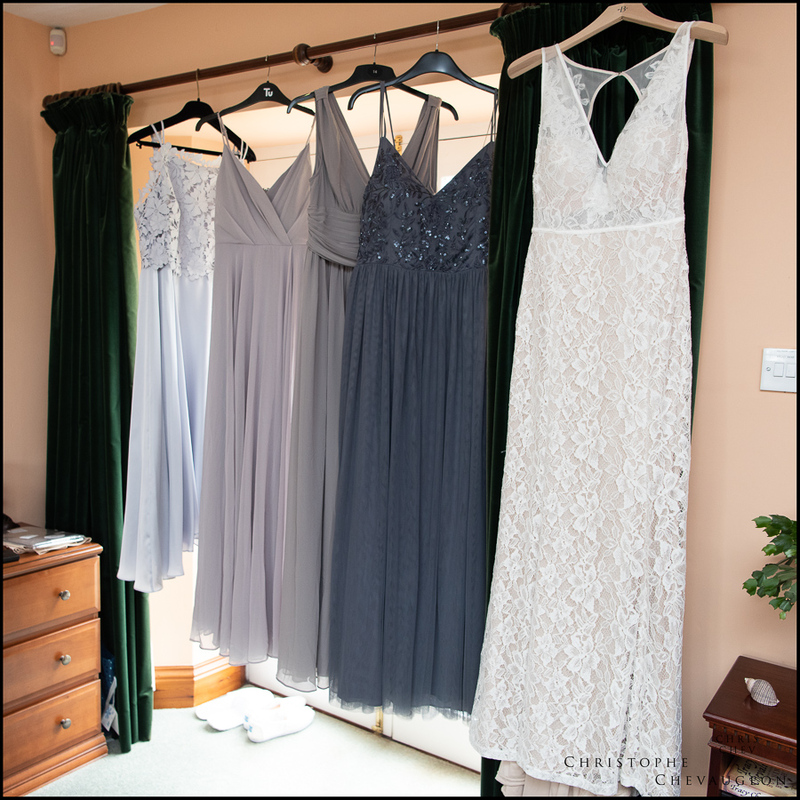 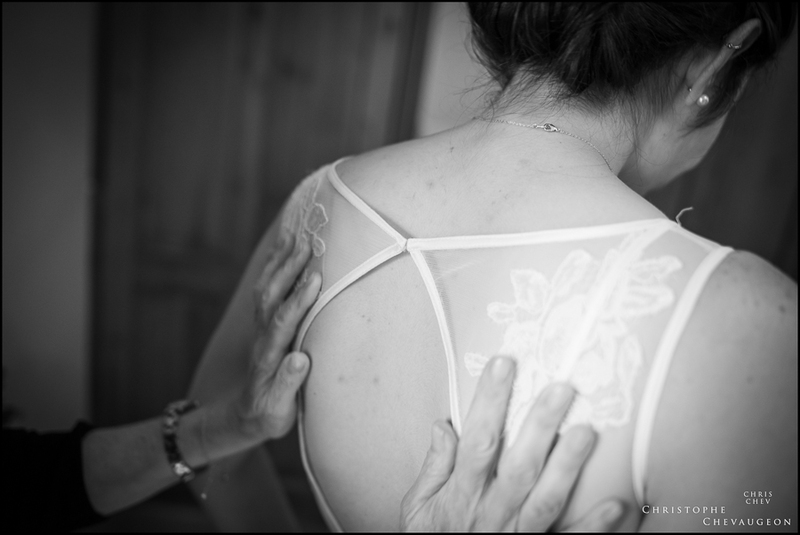 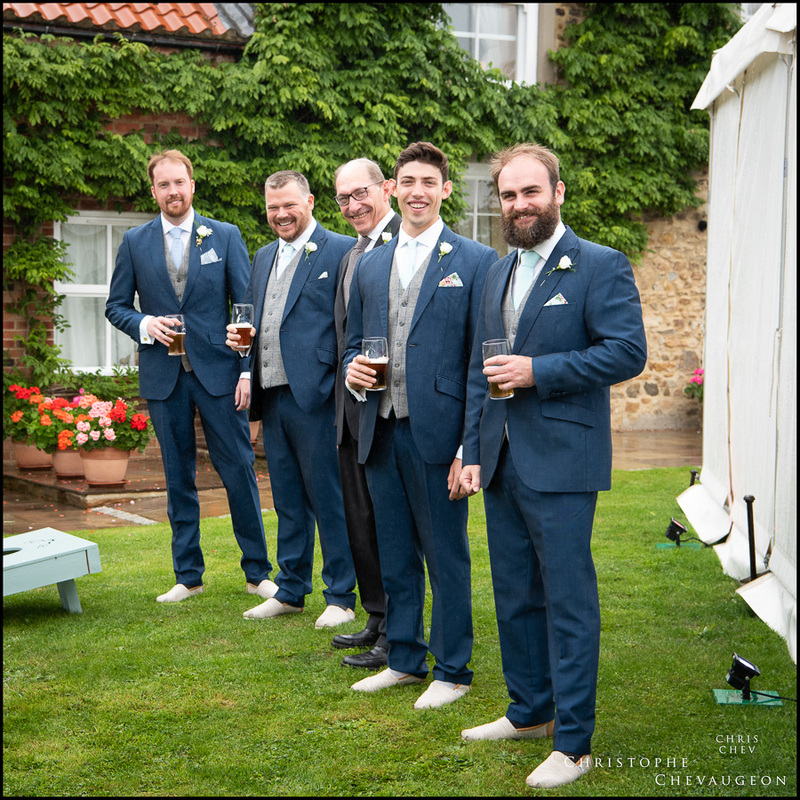 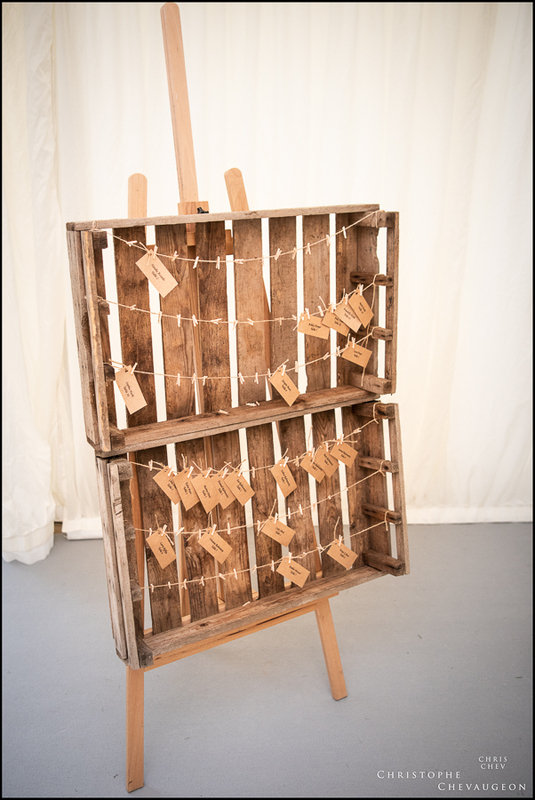 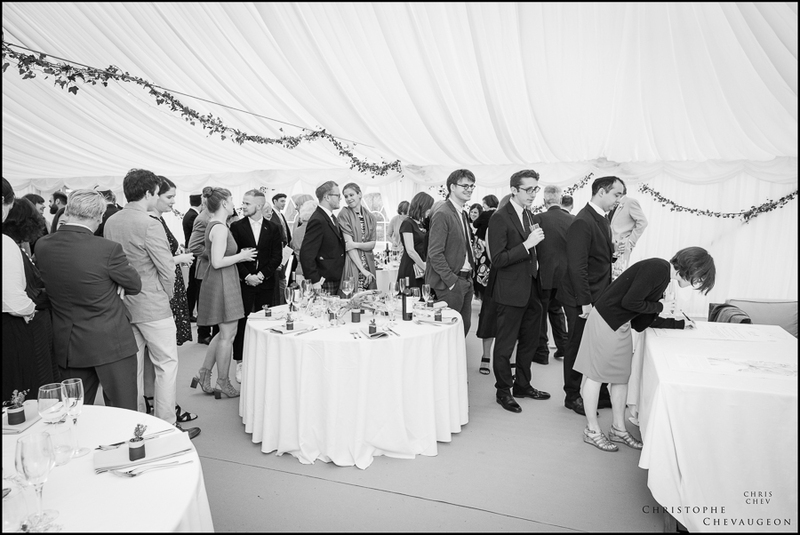 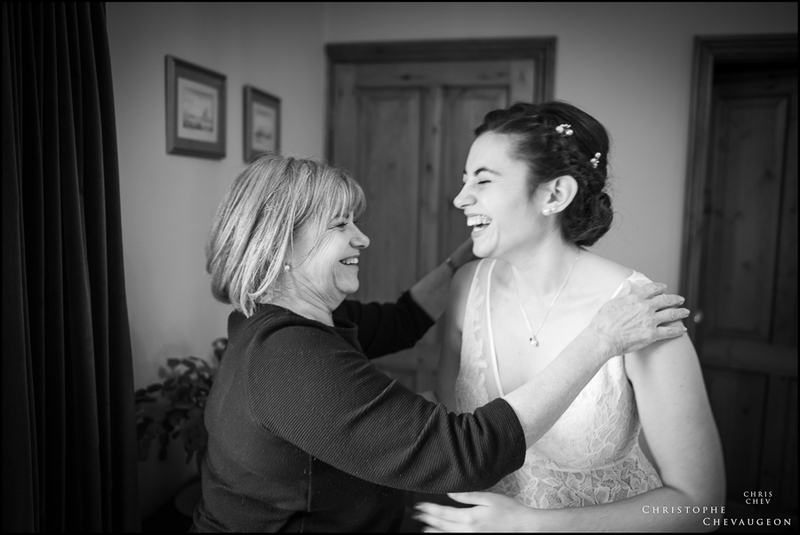 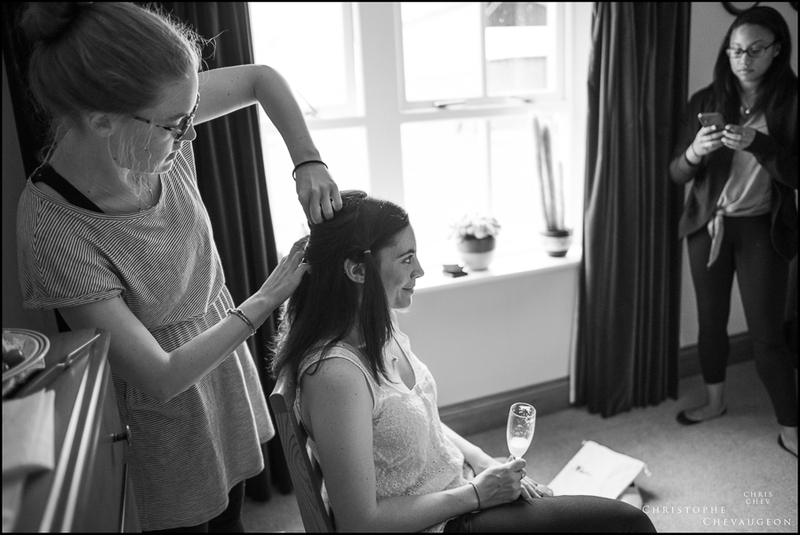 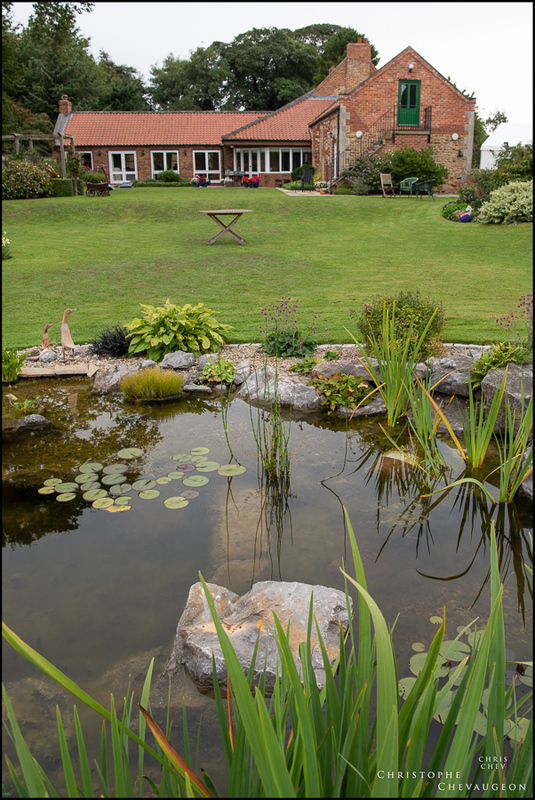 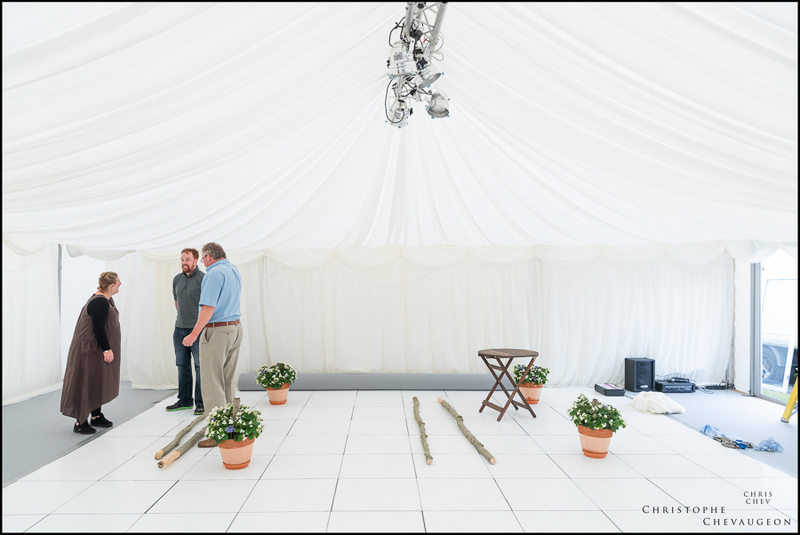 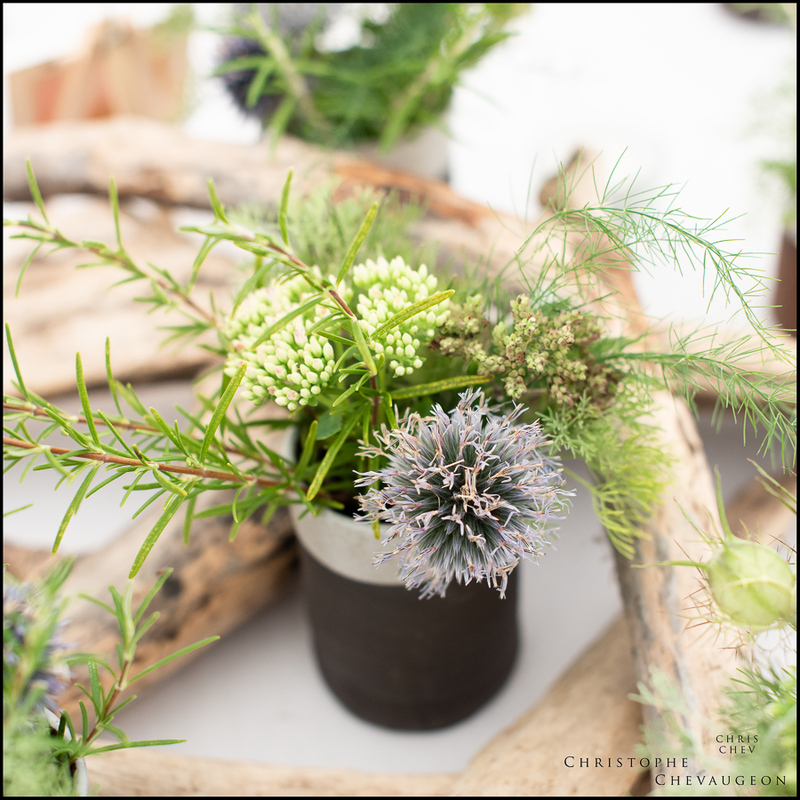 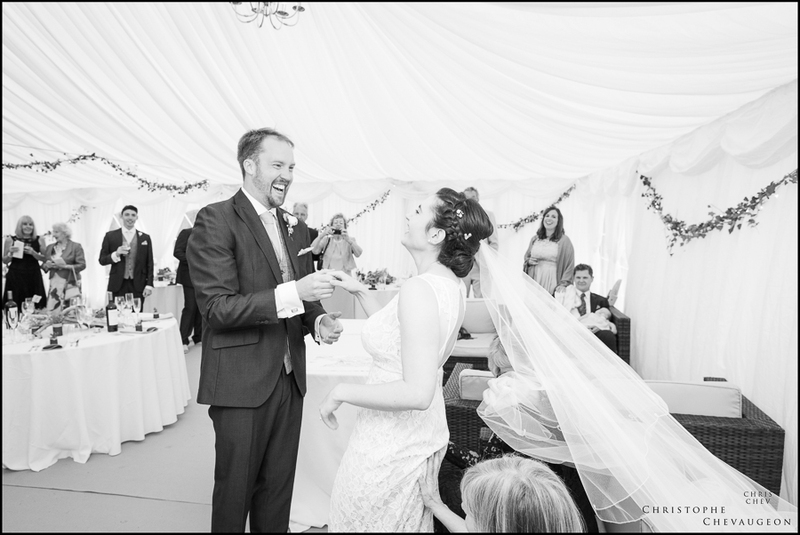 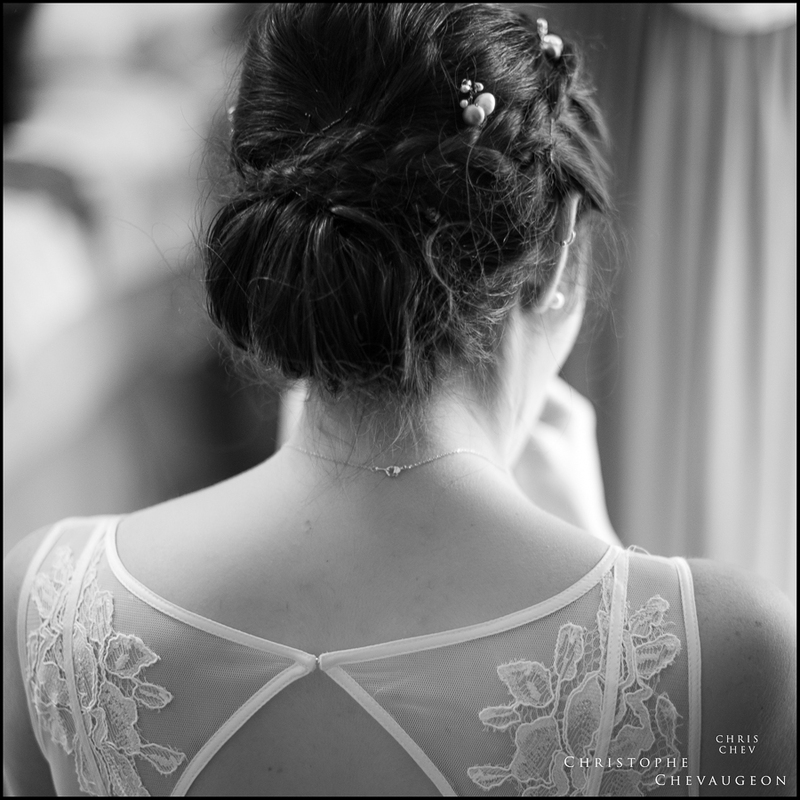 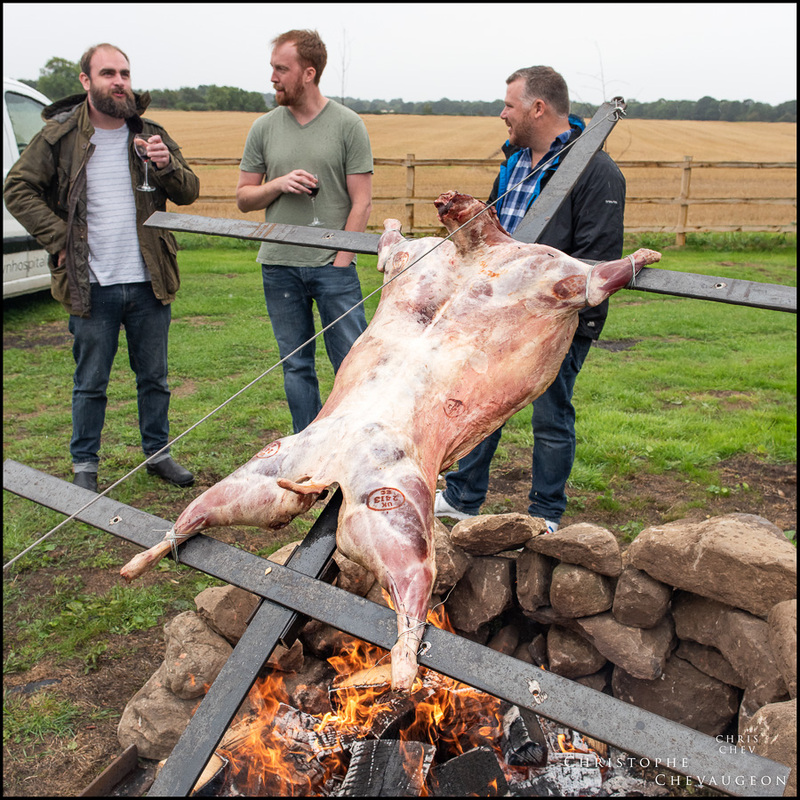 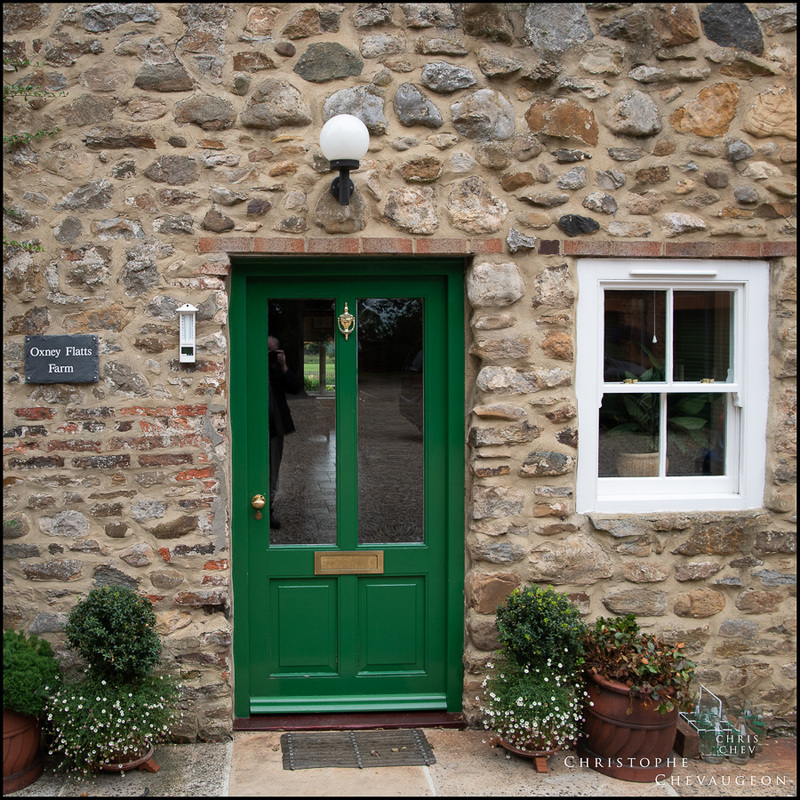 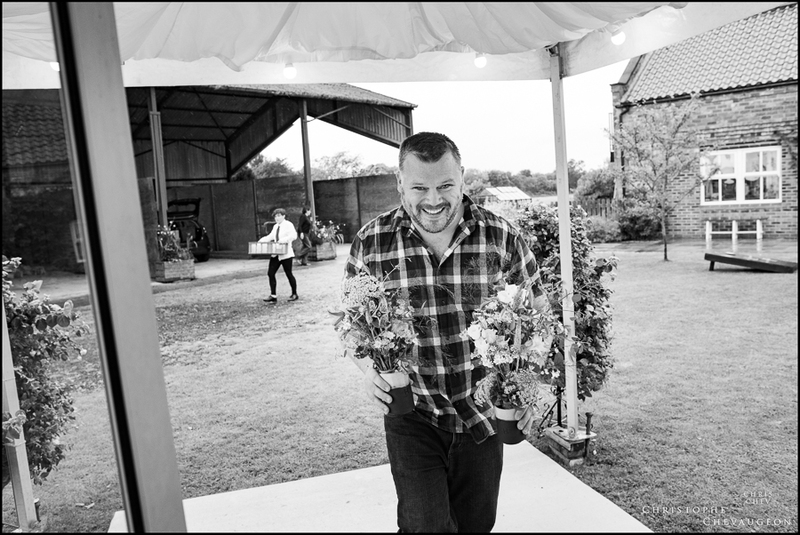 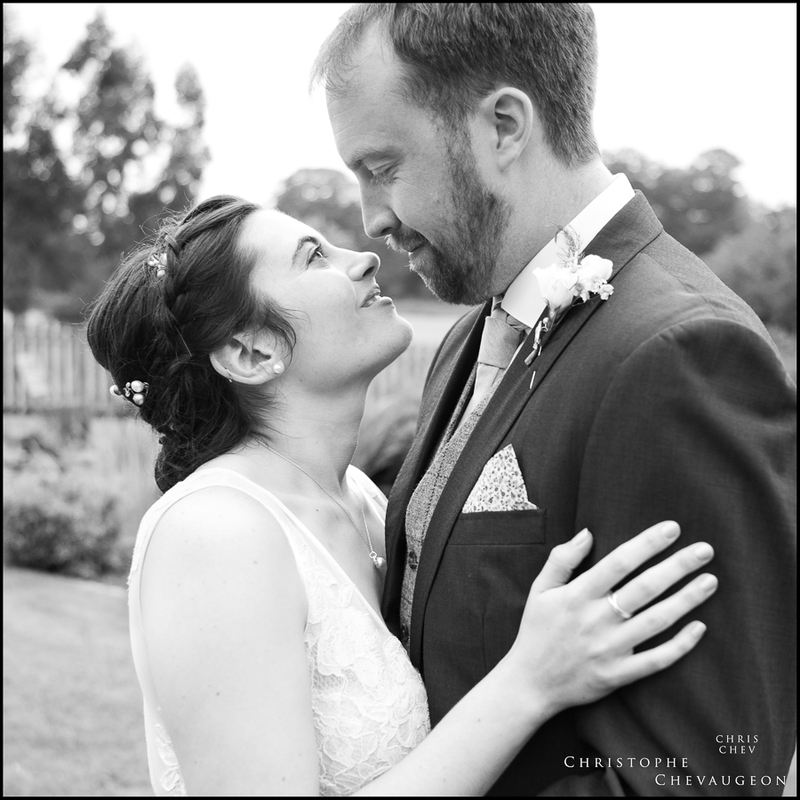 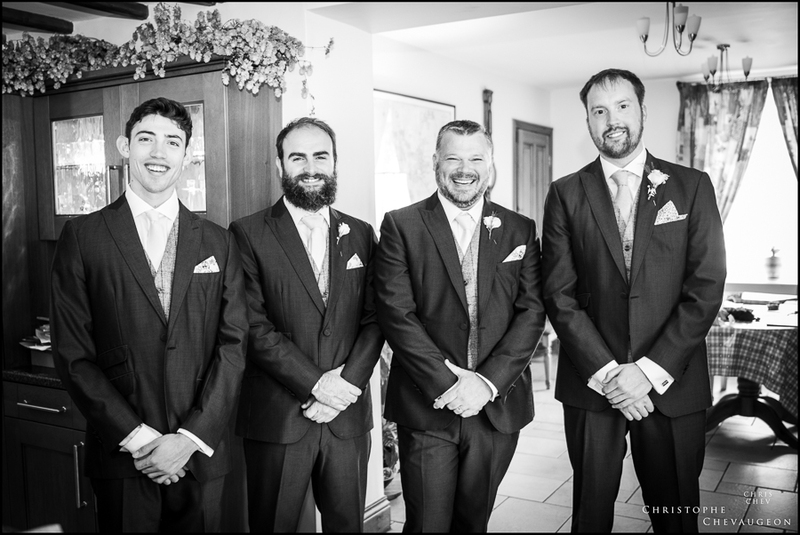 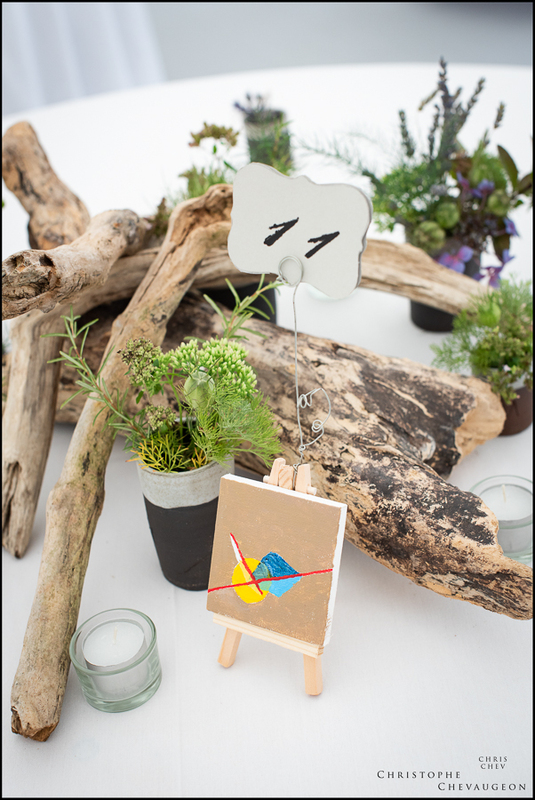 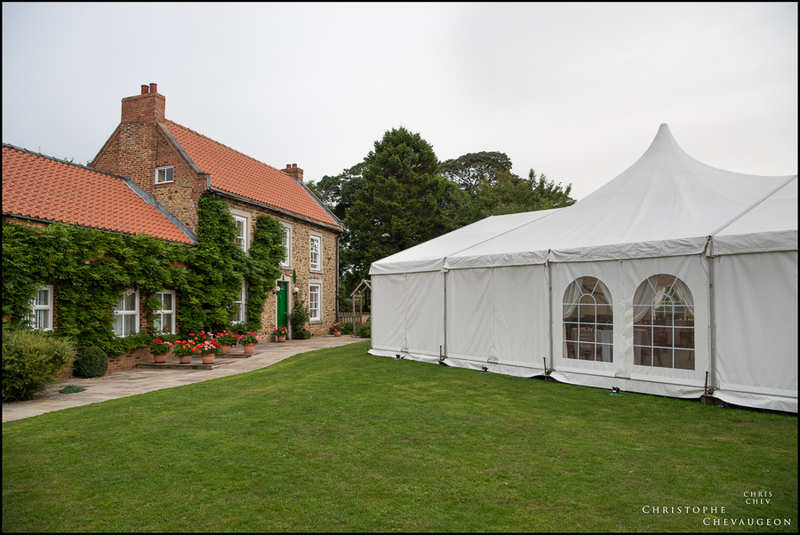 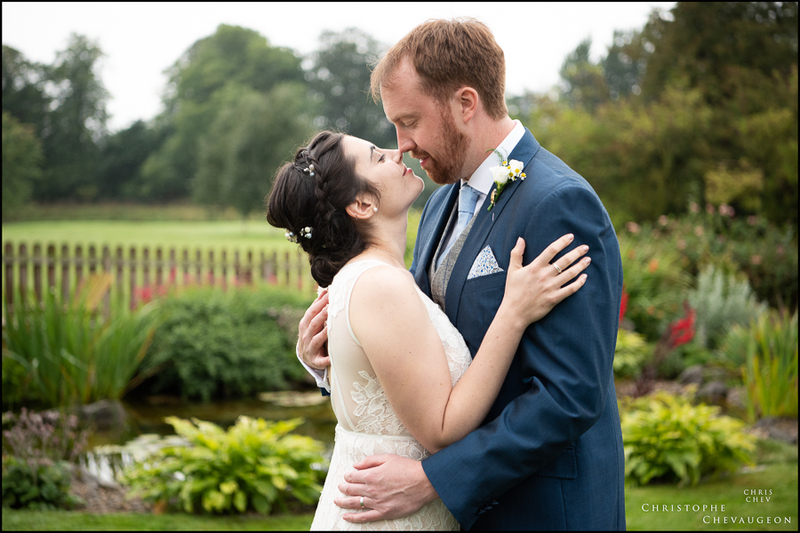 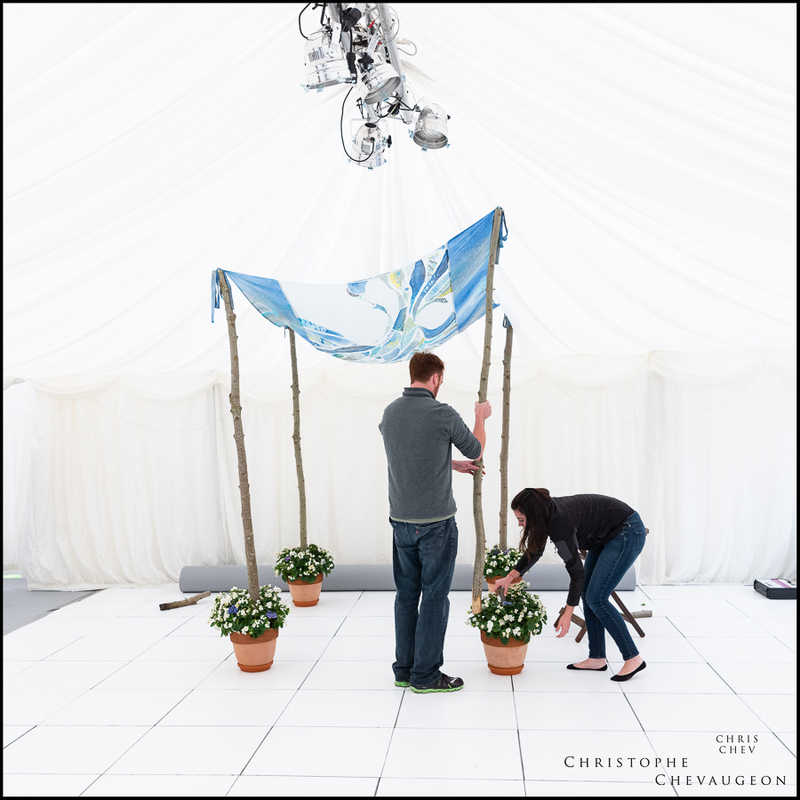 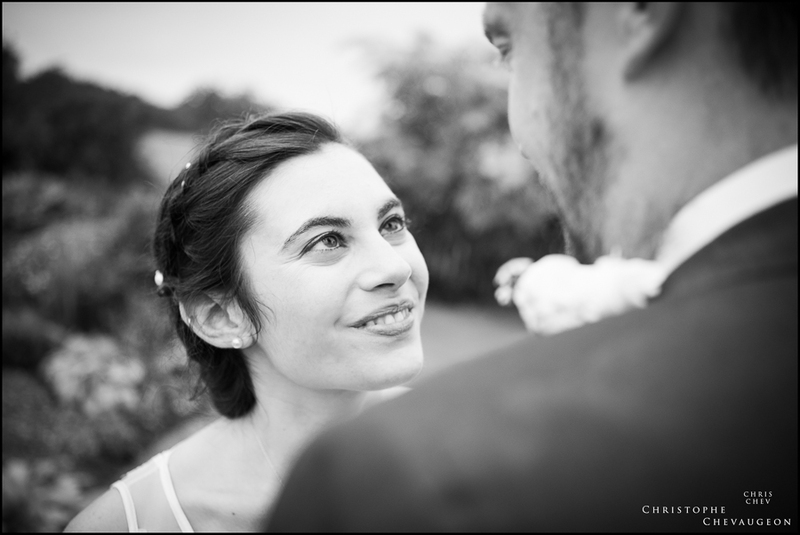 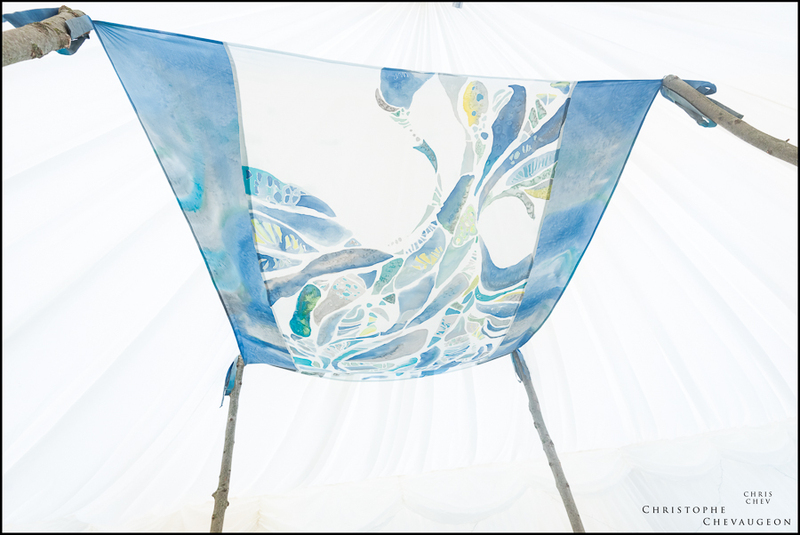 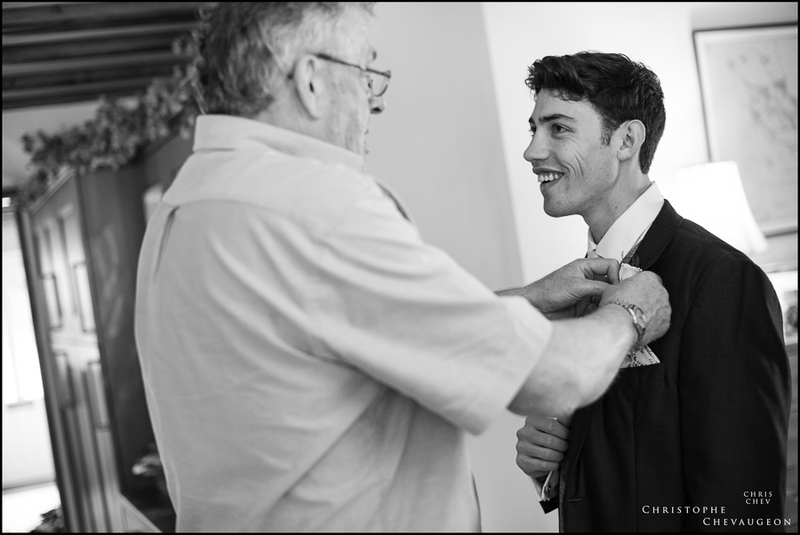 For this late summer wedding in County Durham, two families linked across the Atlantic. 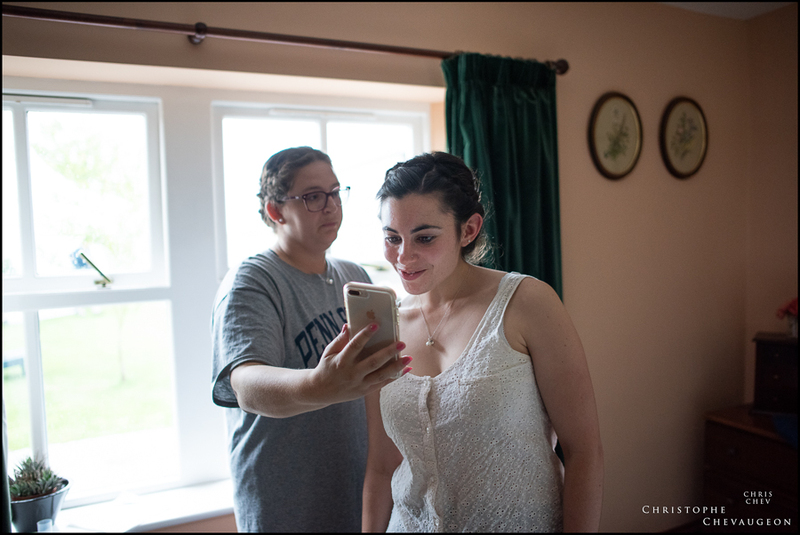 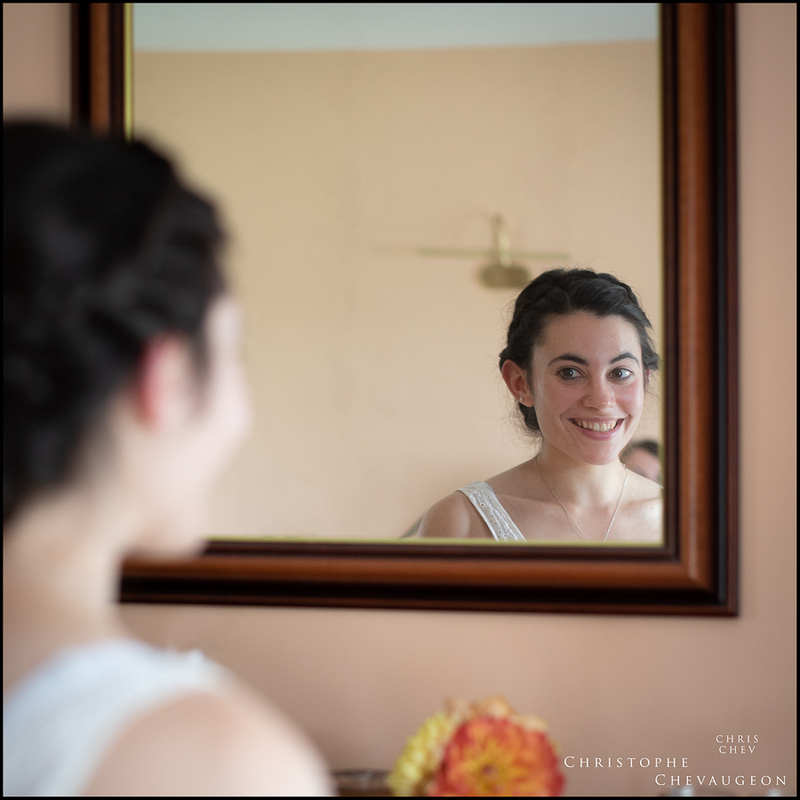 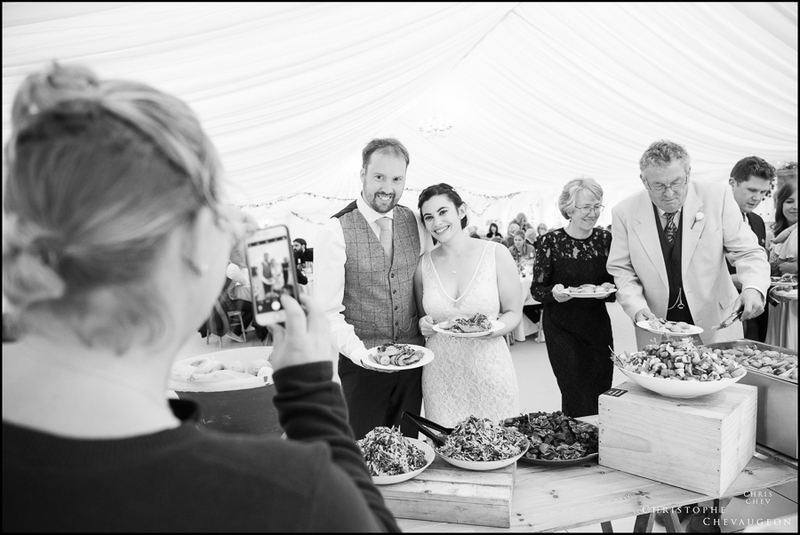 Hannah and Martin who live on the East Coast of America, journeyed back to his home for a country wedding ceremony on the family farm. 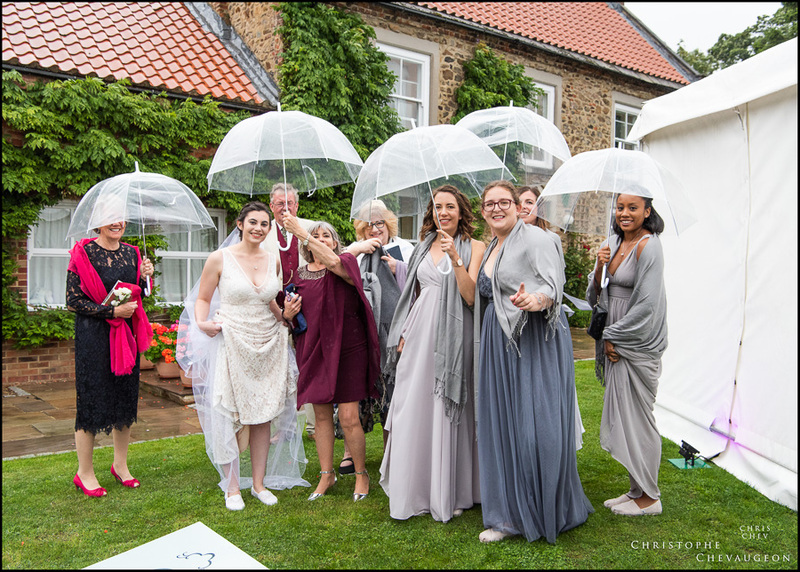 In spite of the rain the two families and guests from around the globe, had an amazing day in a wonderfully rural setting. 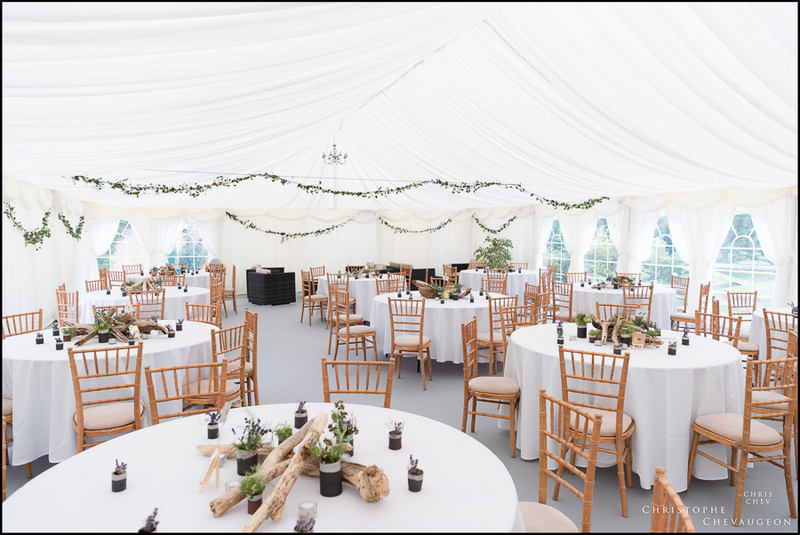 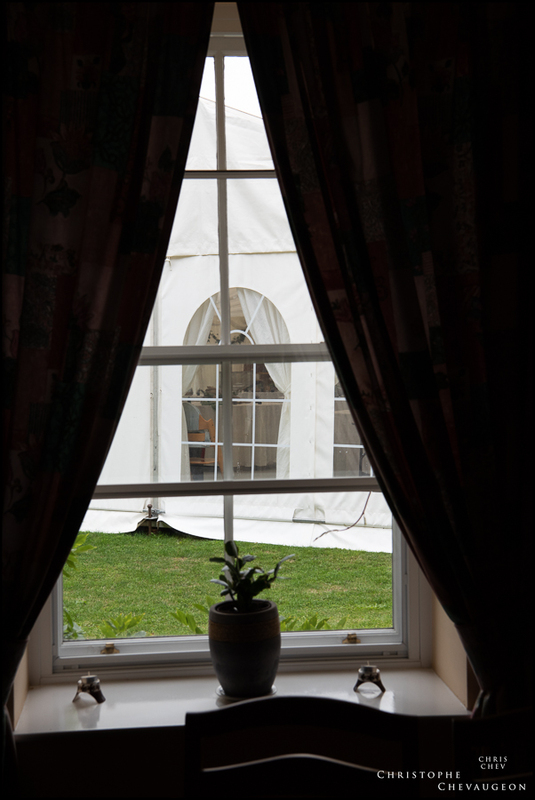 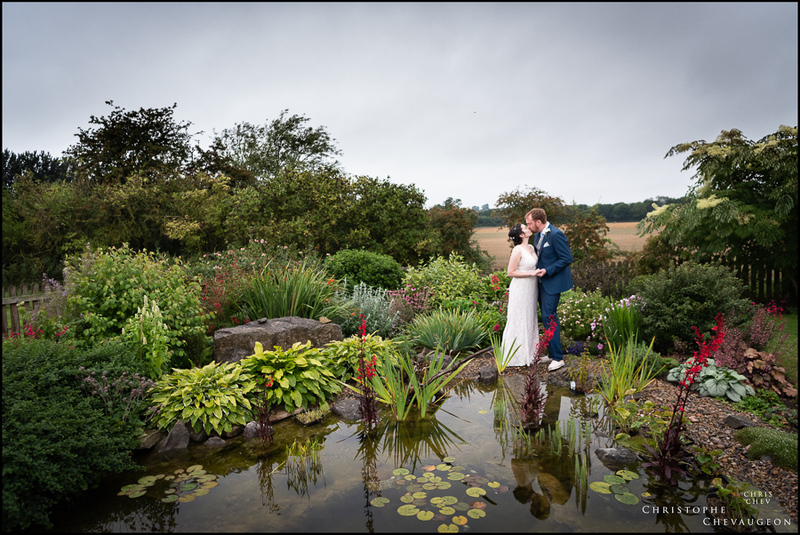 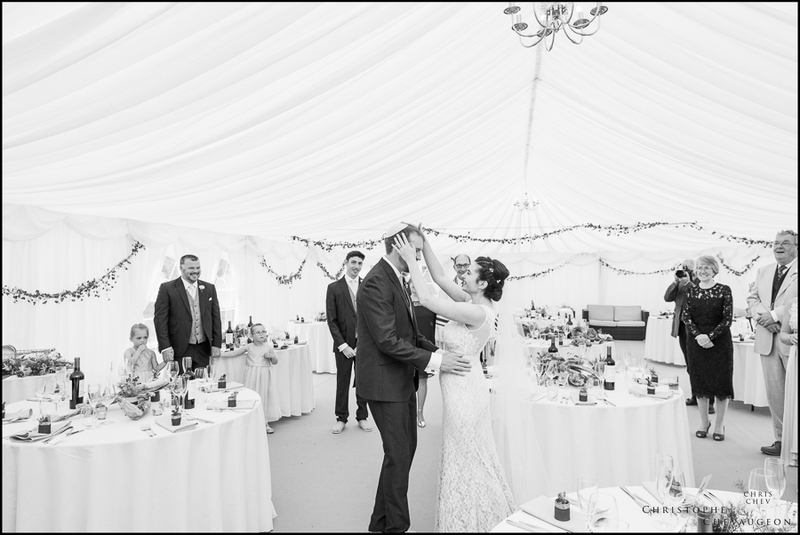 Fortunately the rain ceased just long enough for the couple to pop out of the marquee to enjoy a romantic stroll in the beautifully presented gardens – courtesy of Martin’s mum. 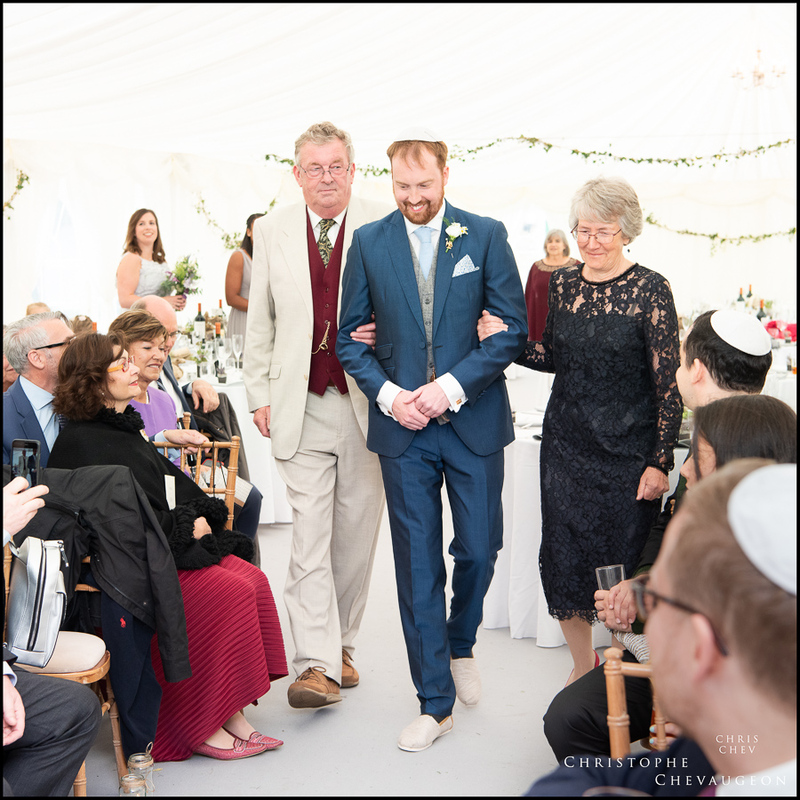 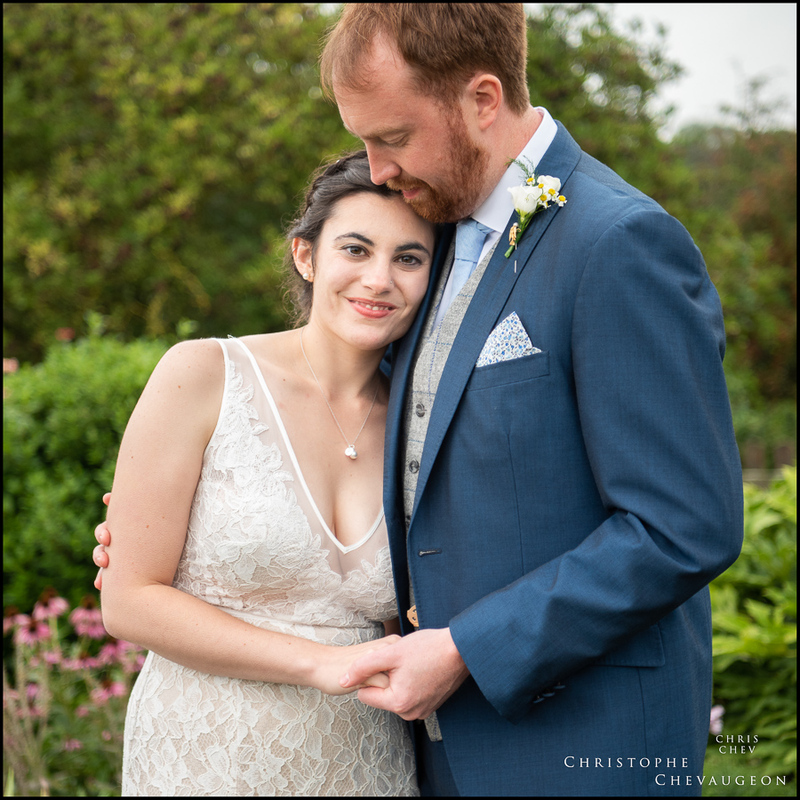 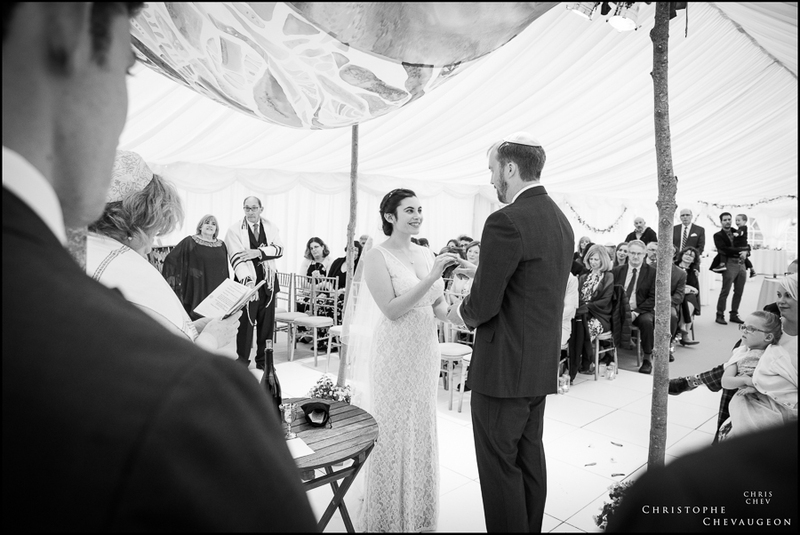 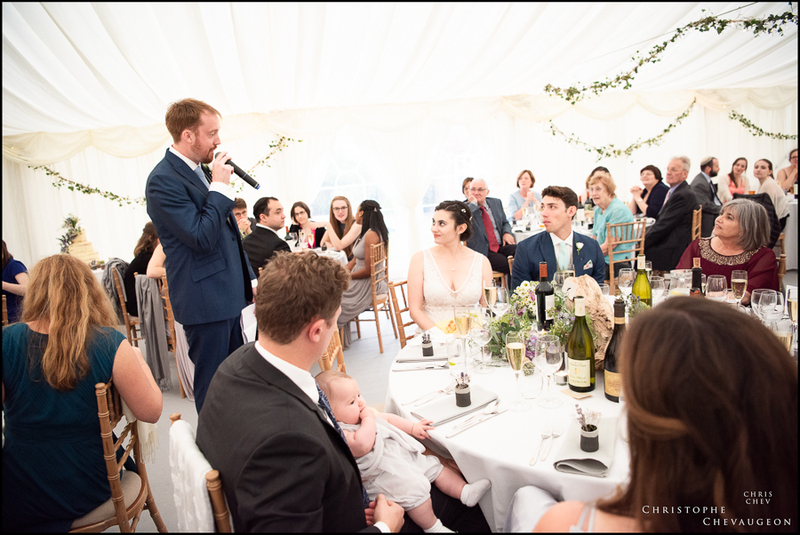 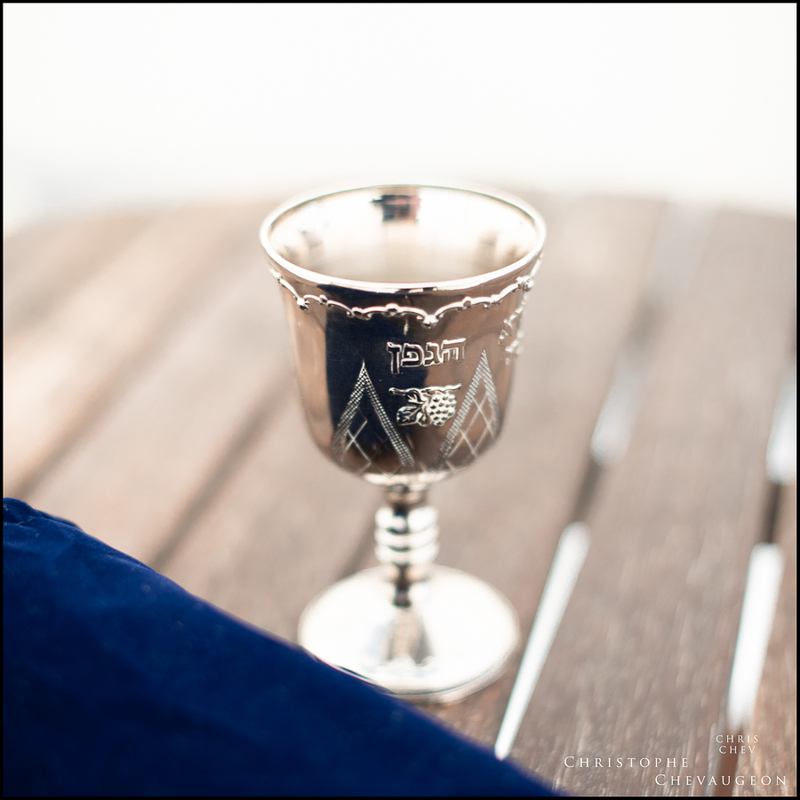 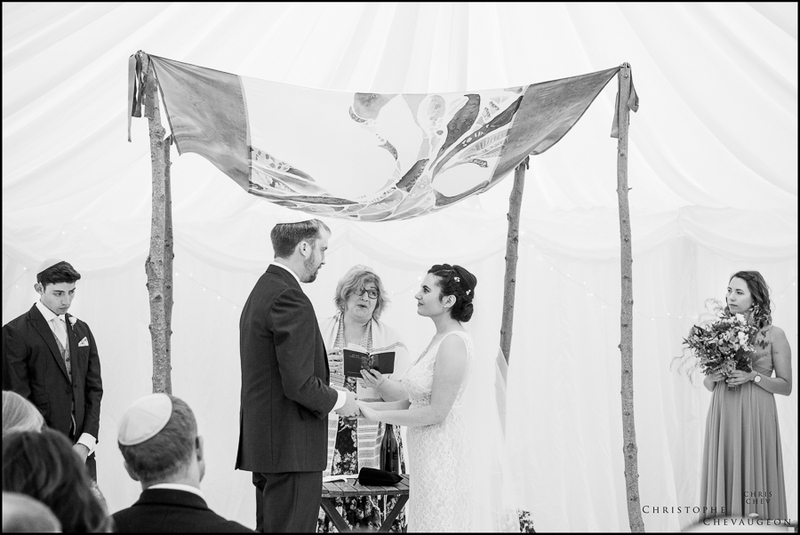 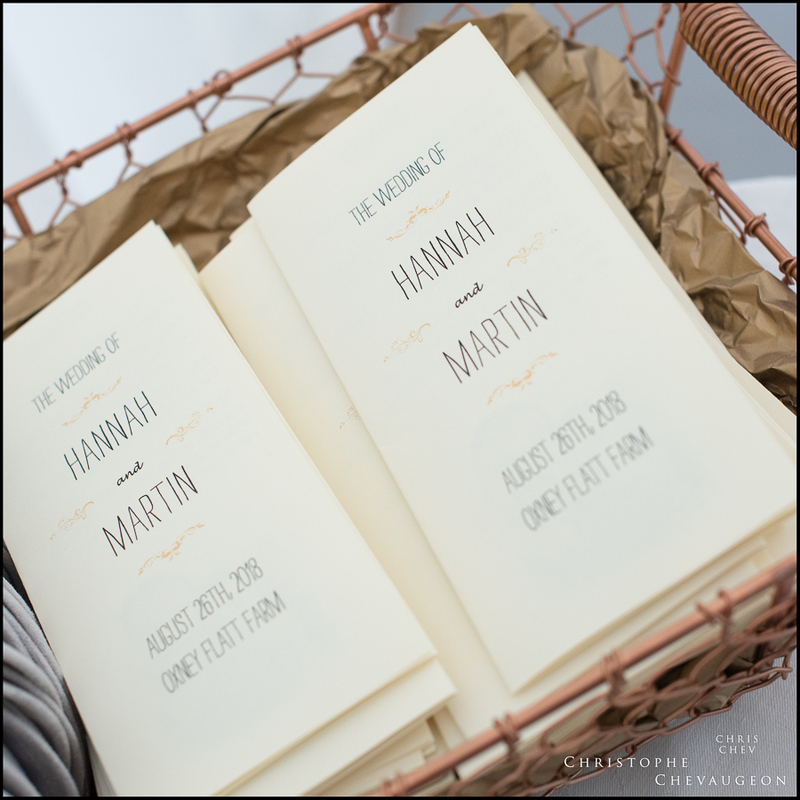 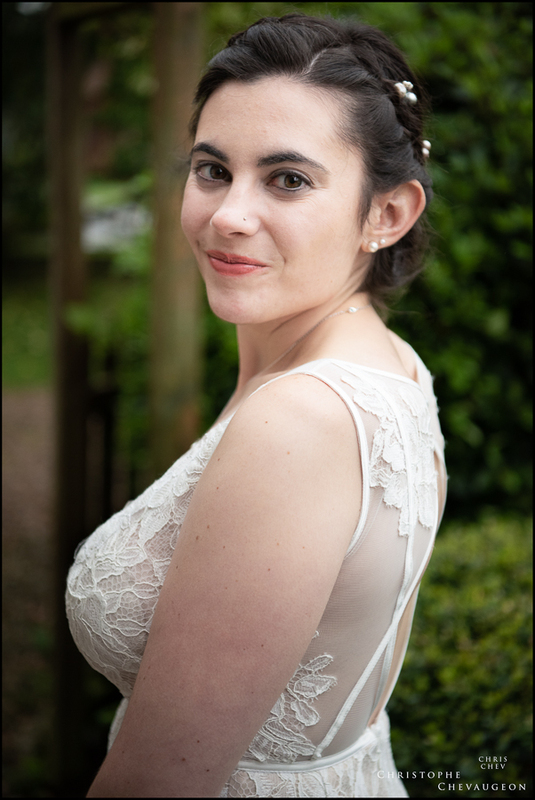 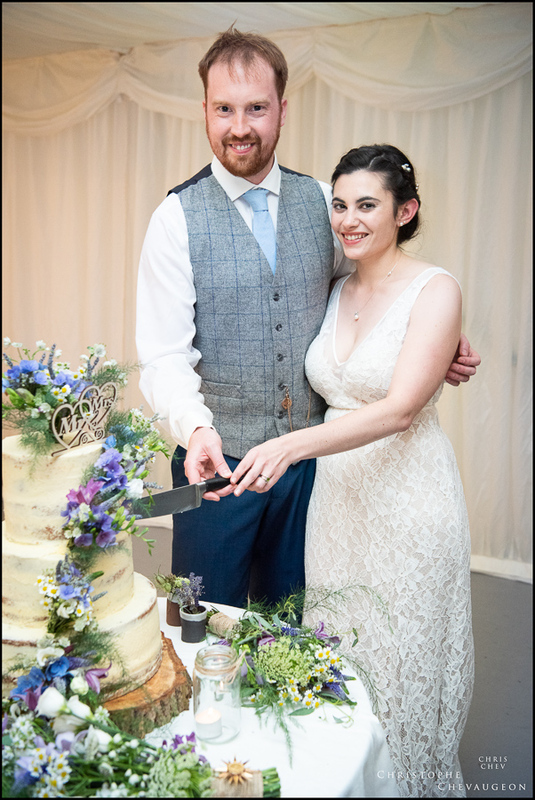 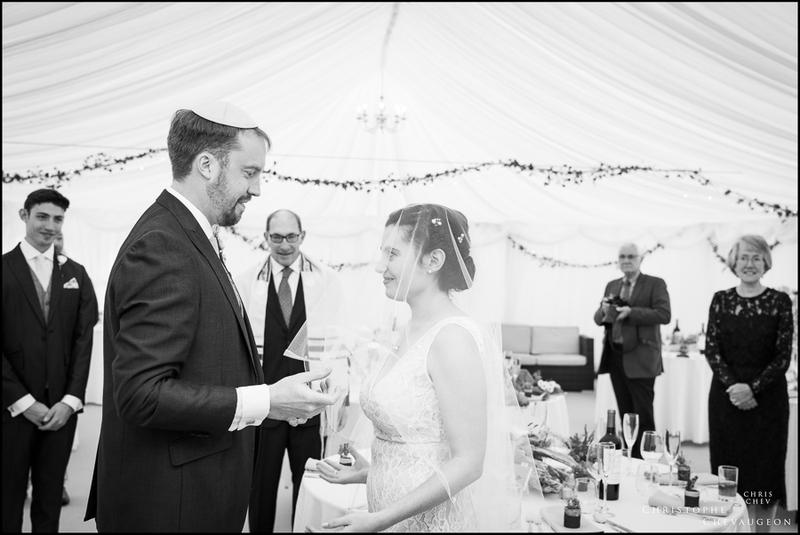 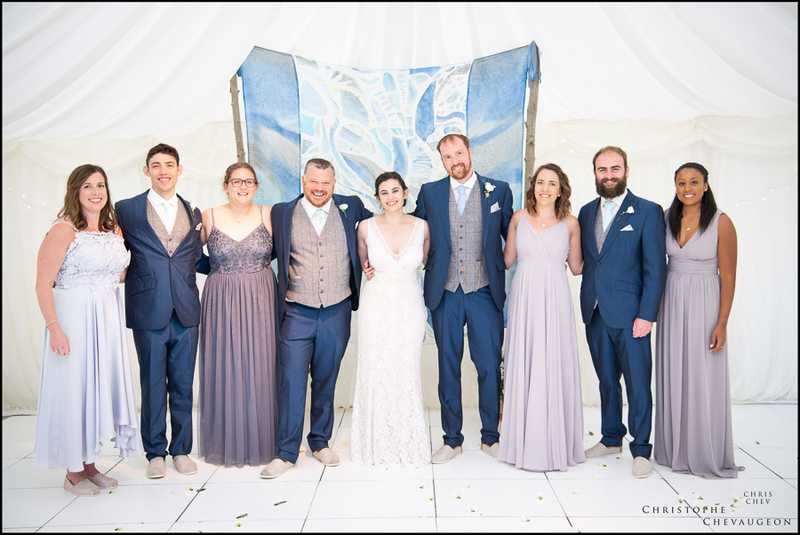 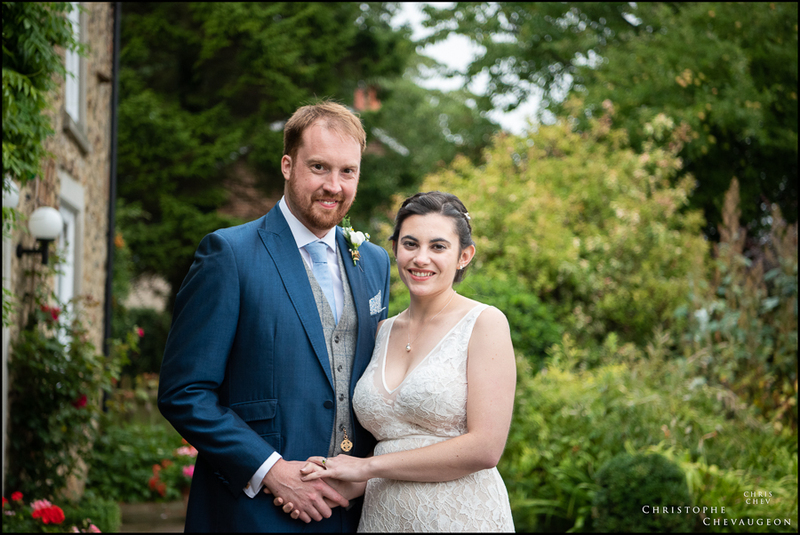 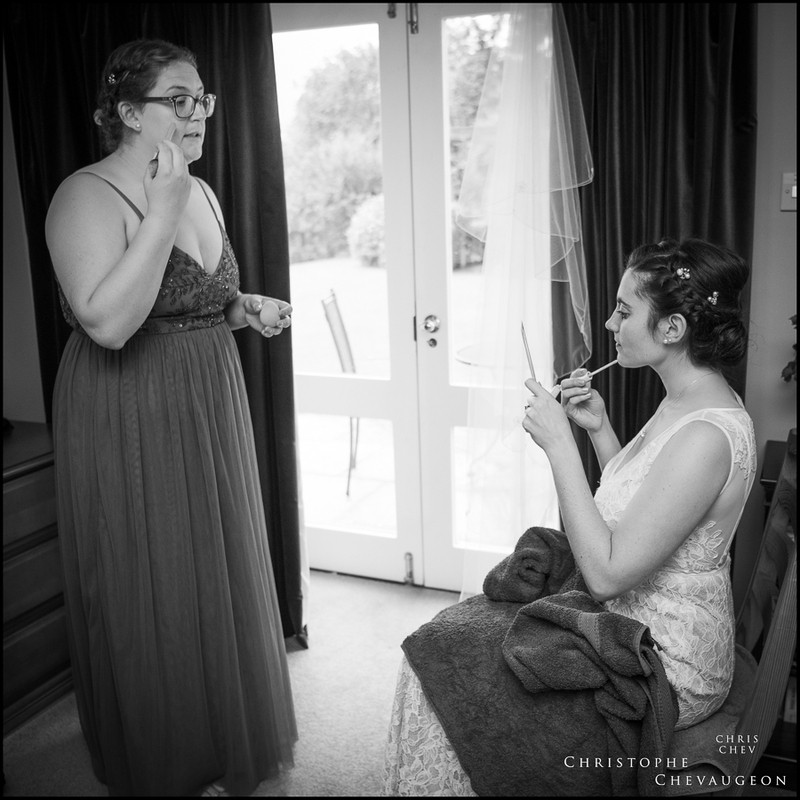 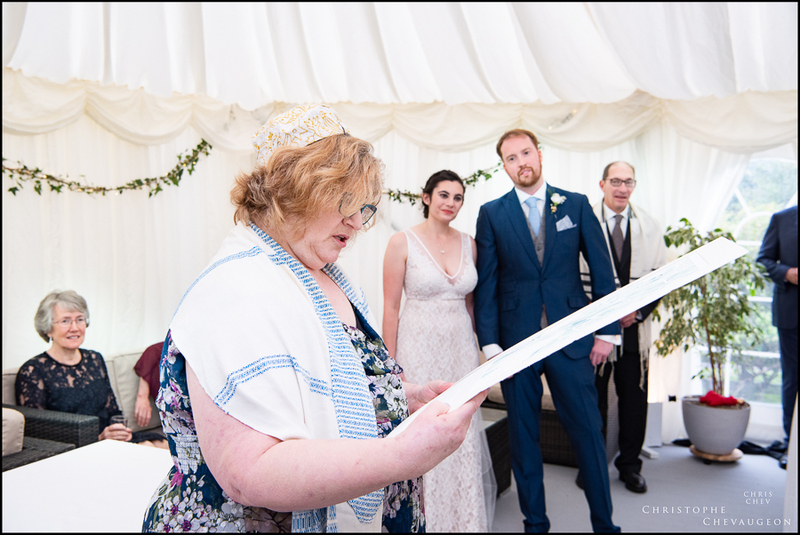 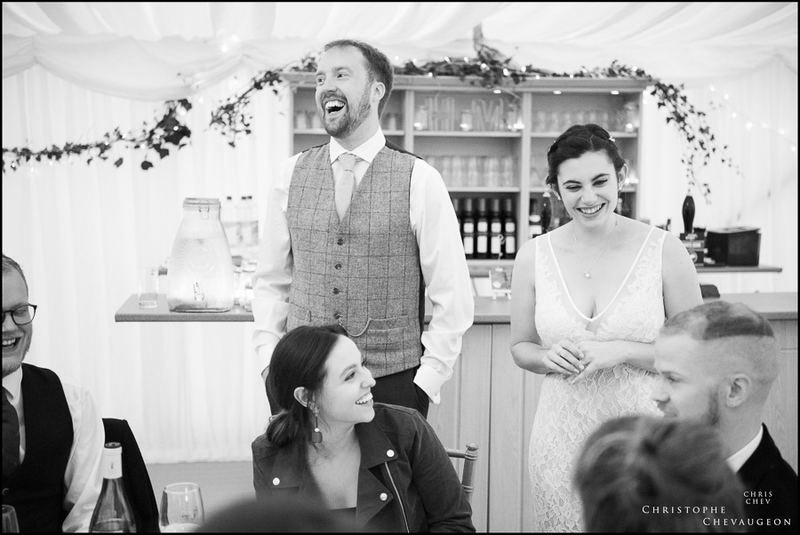 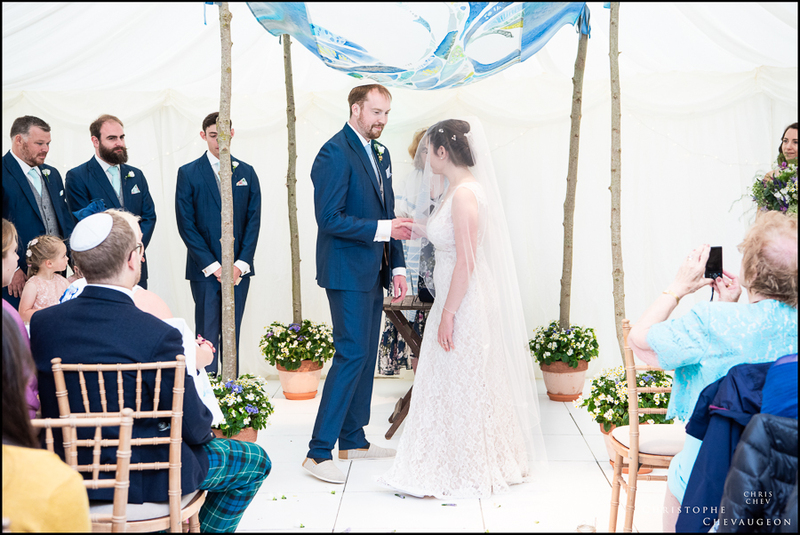 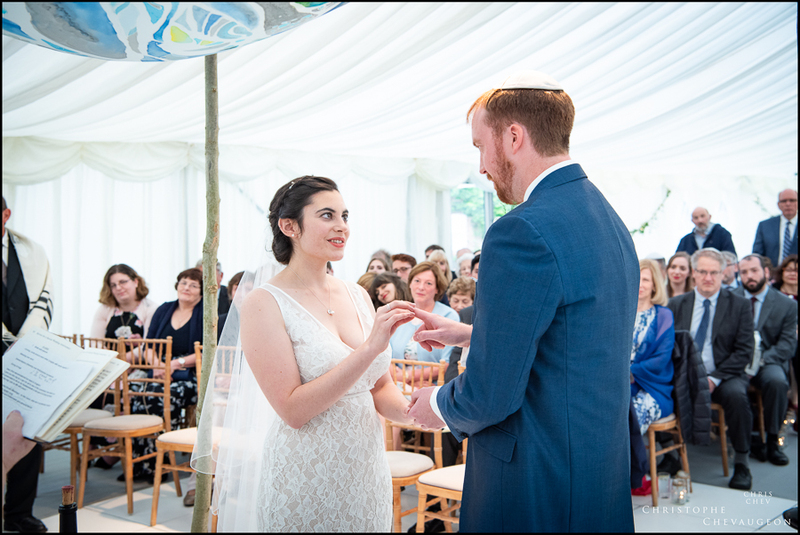 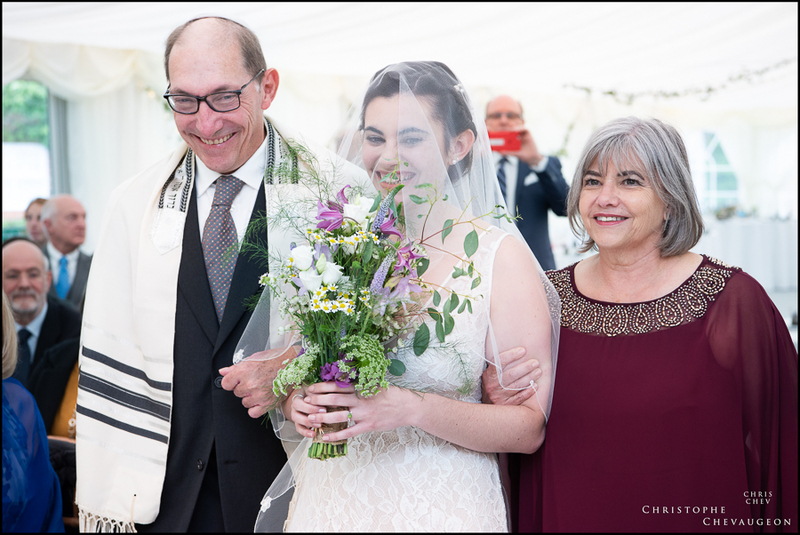 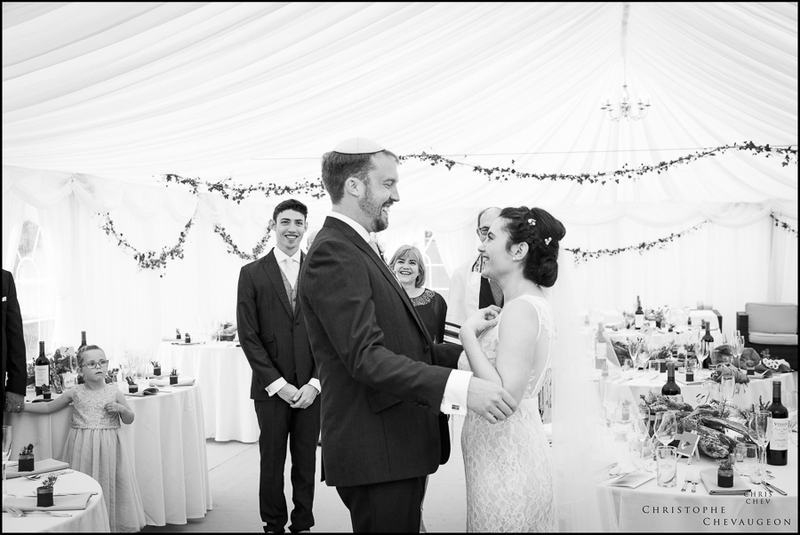 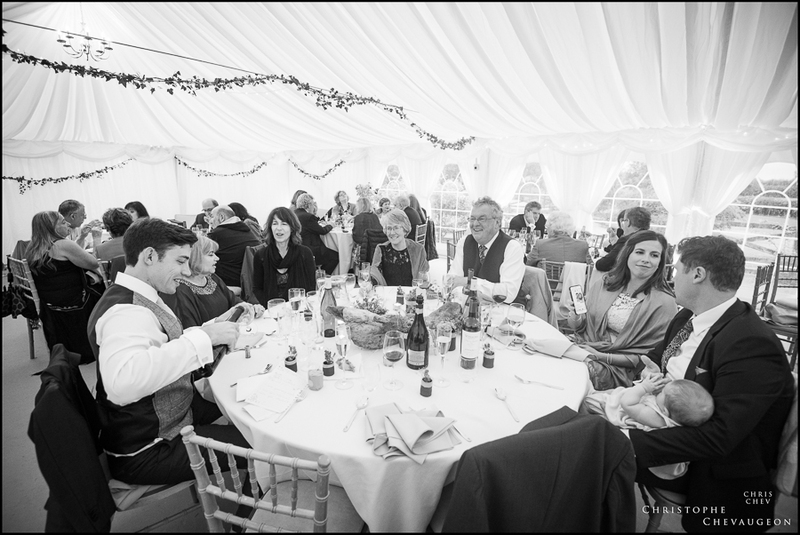 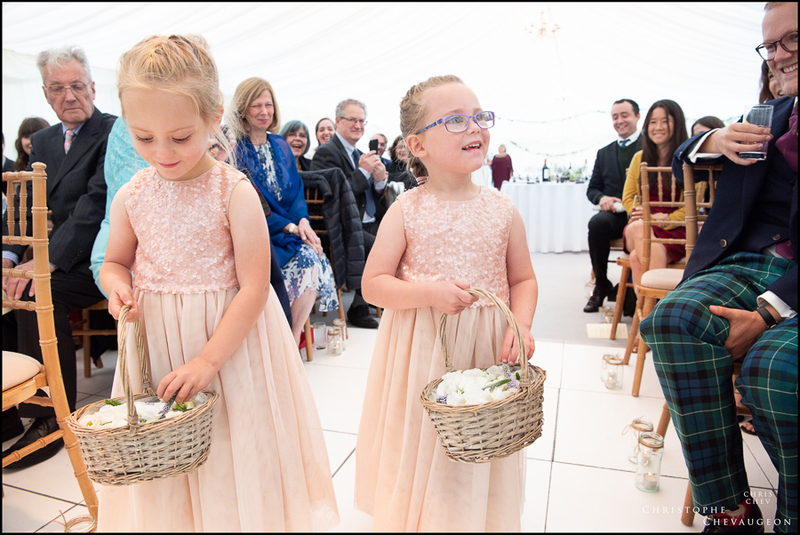 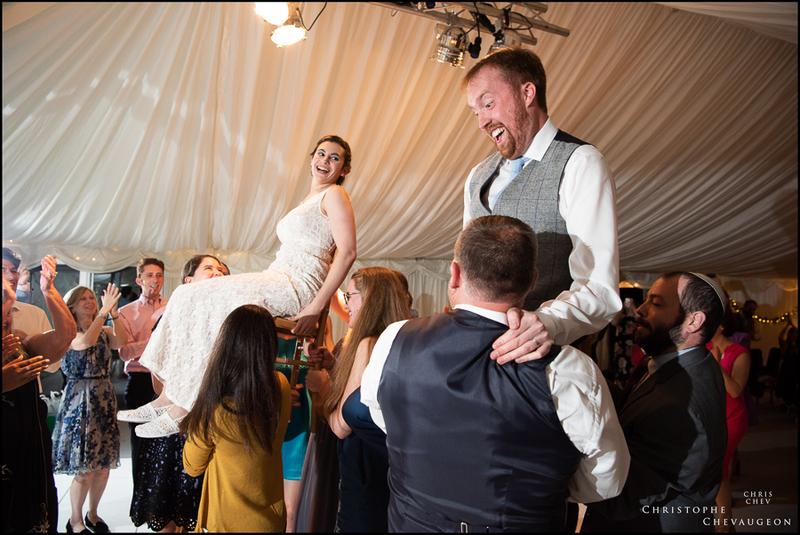 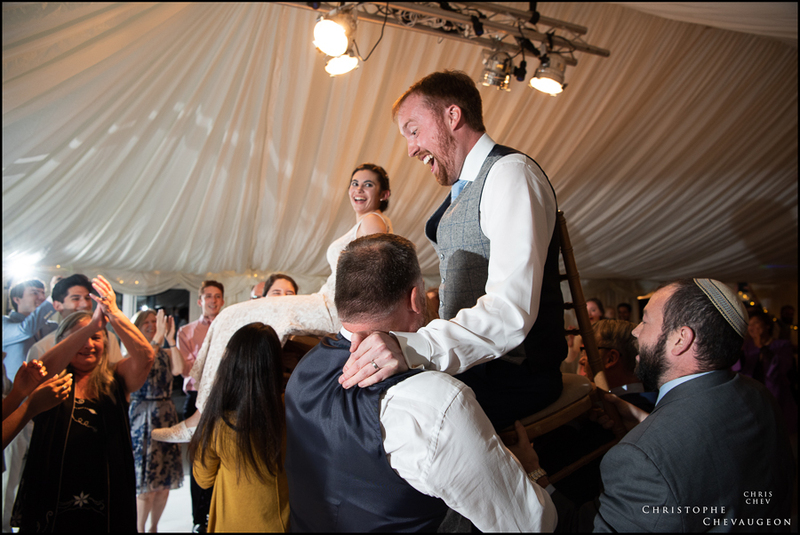 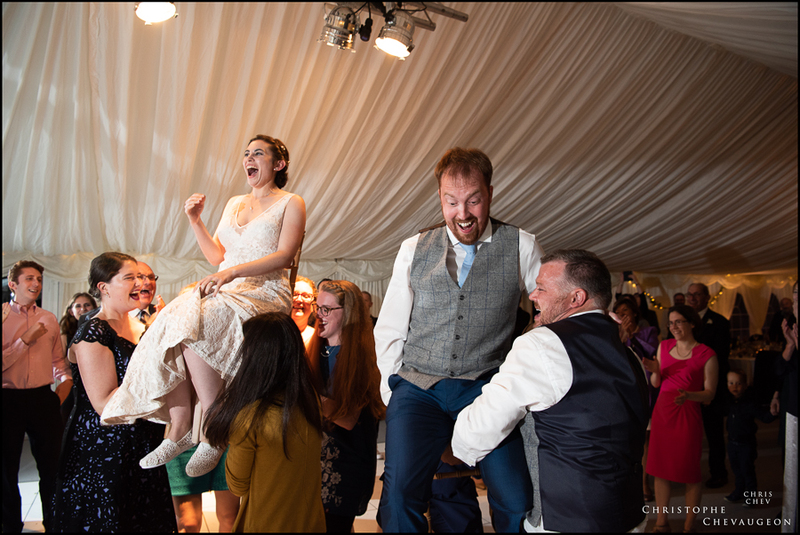 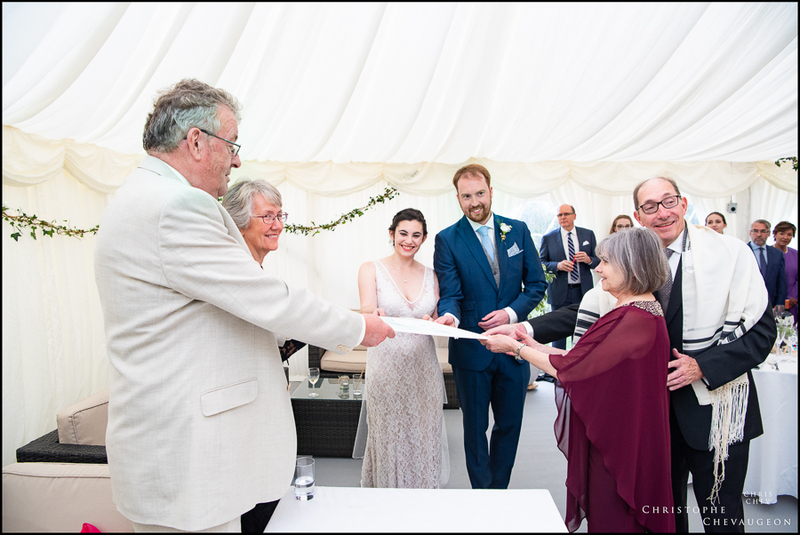 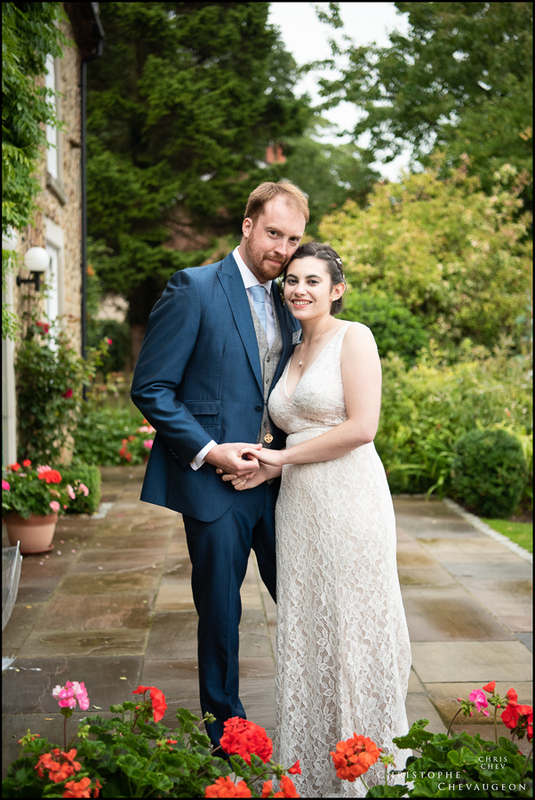 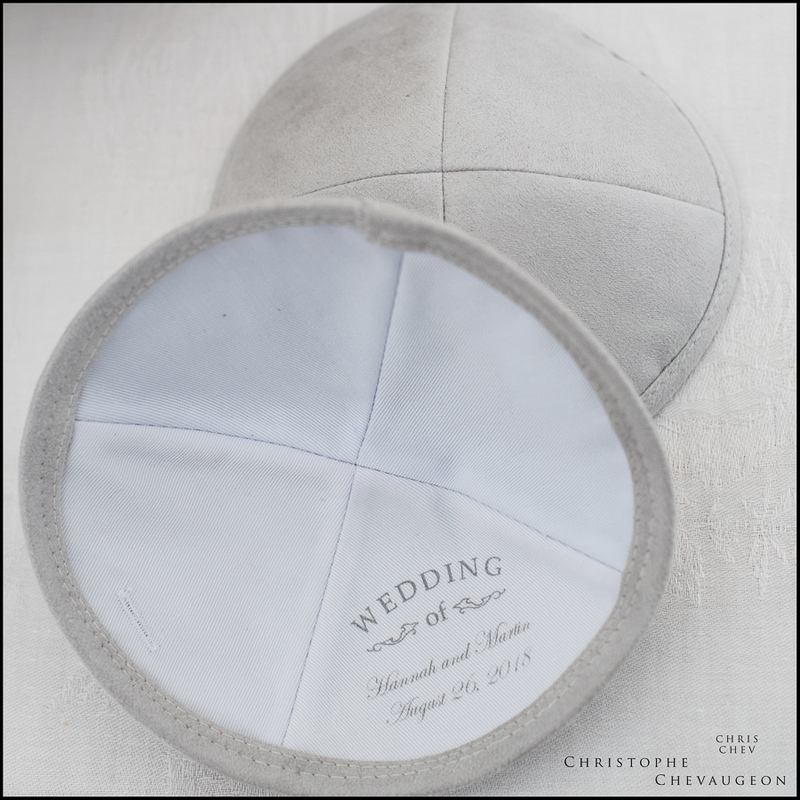 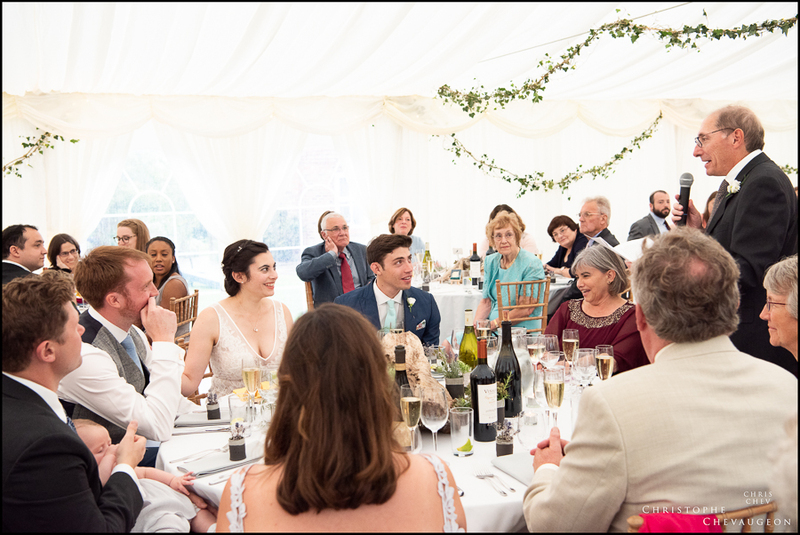 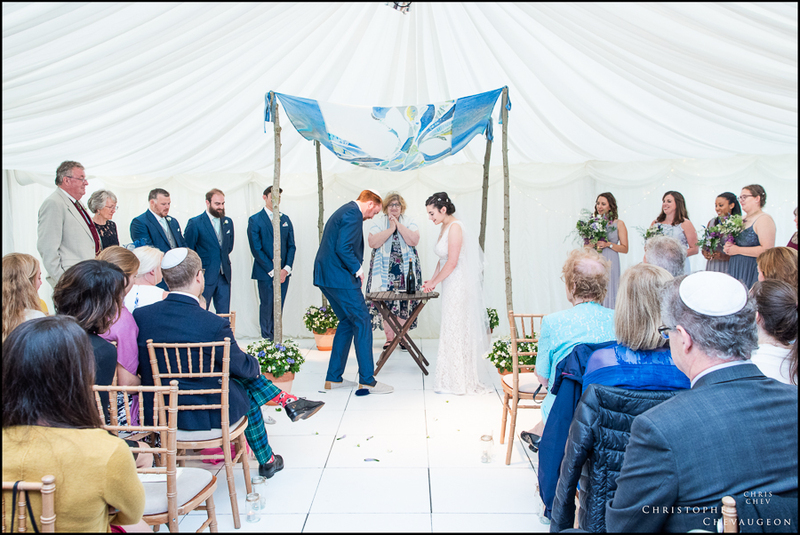 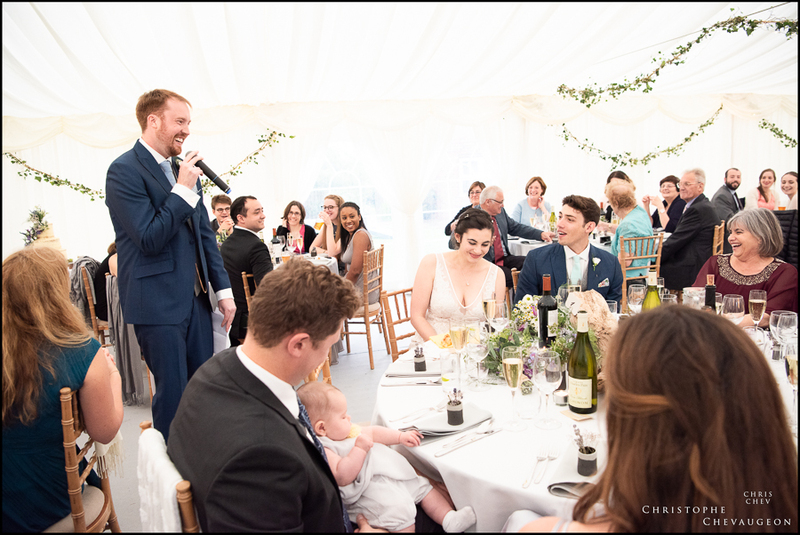 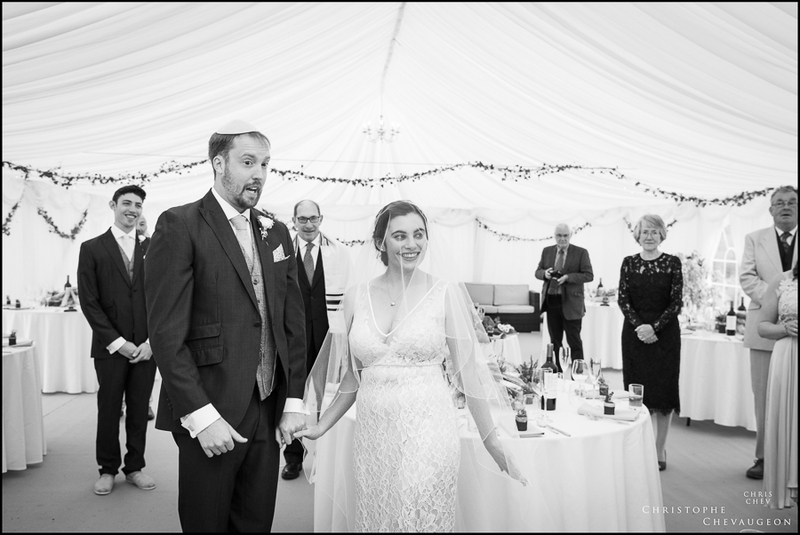 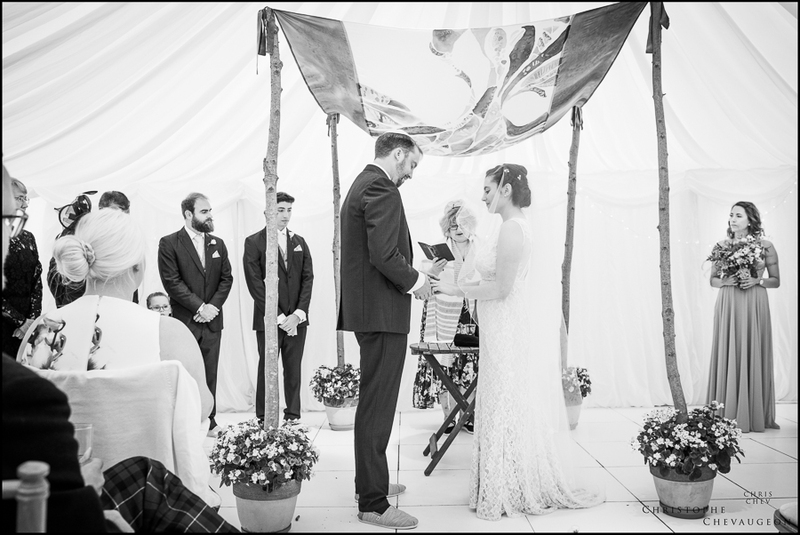 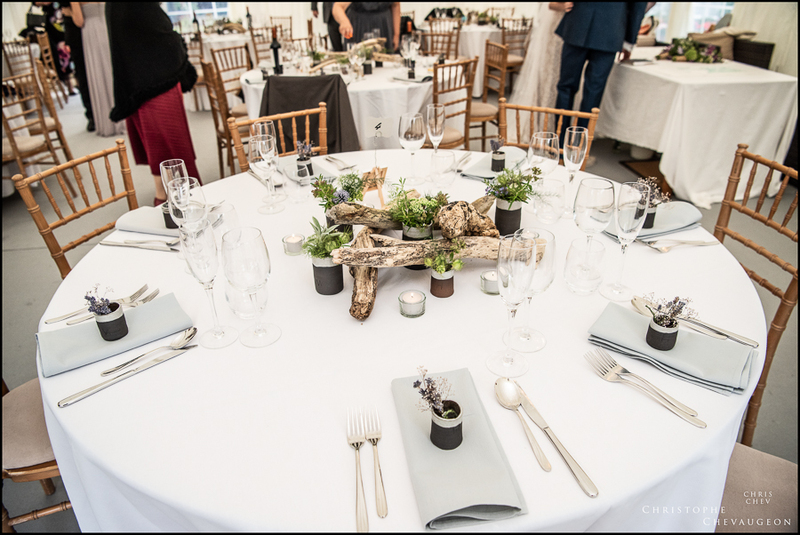 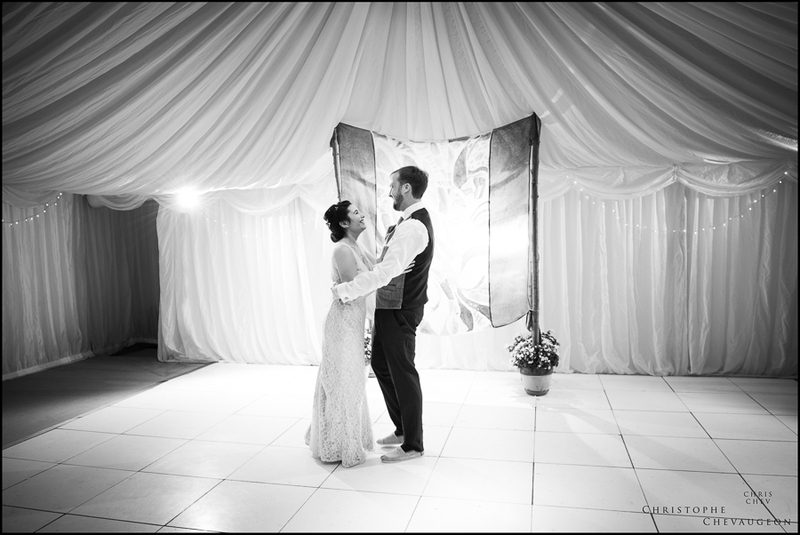 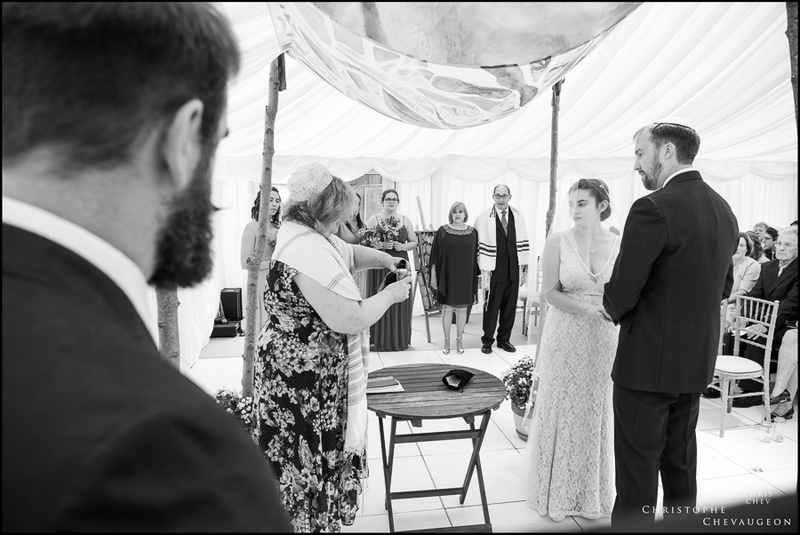 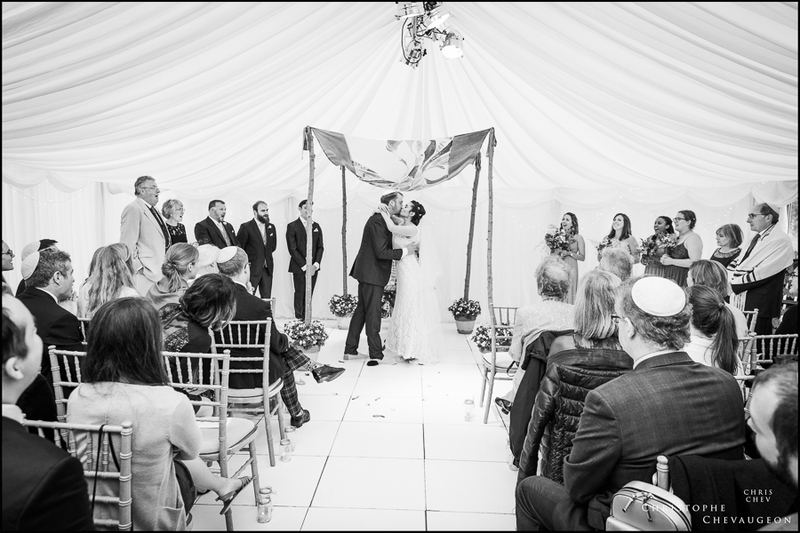 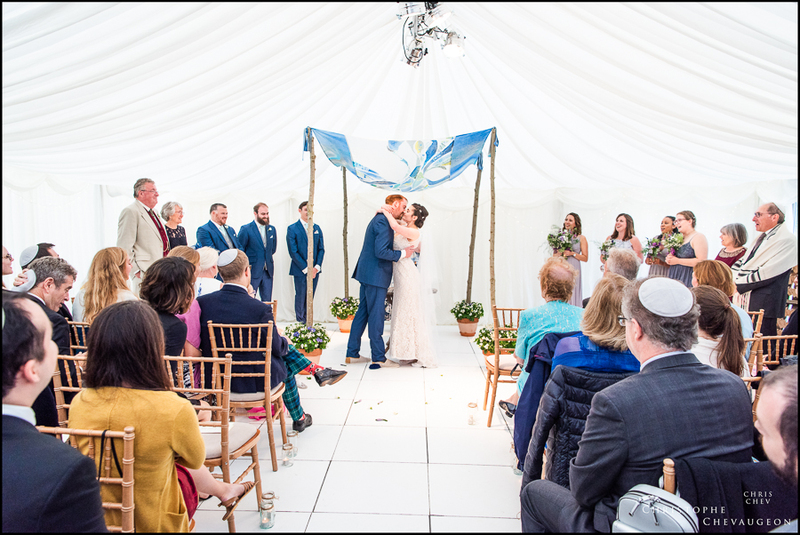 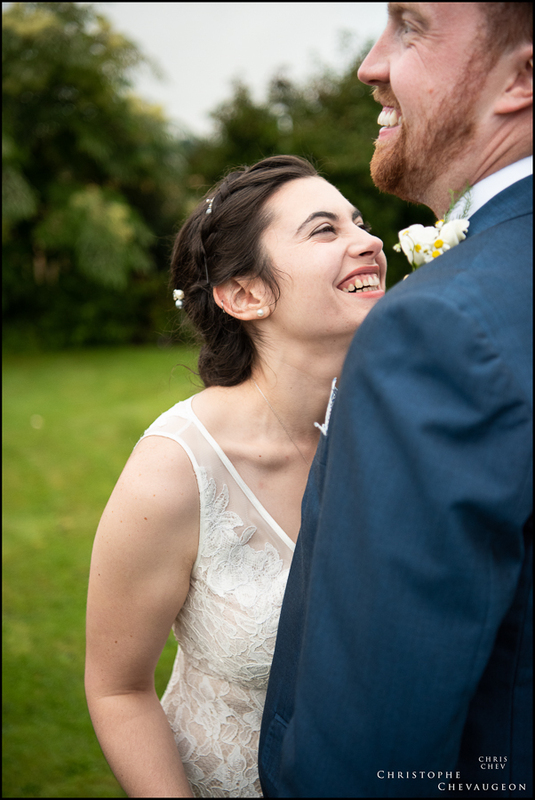 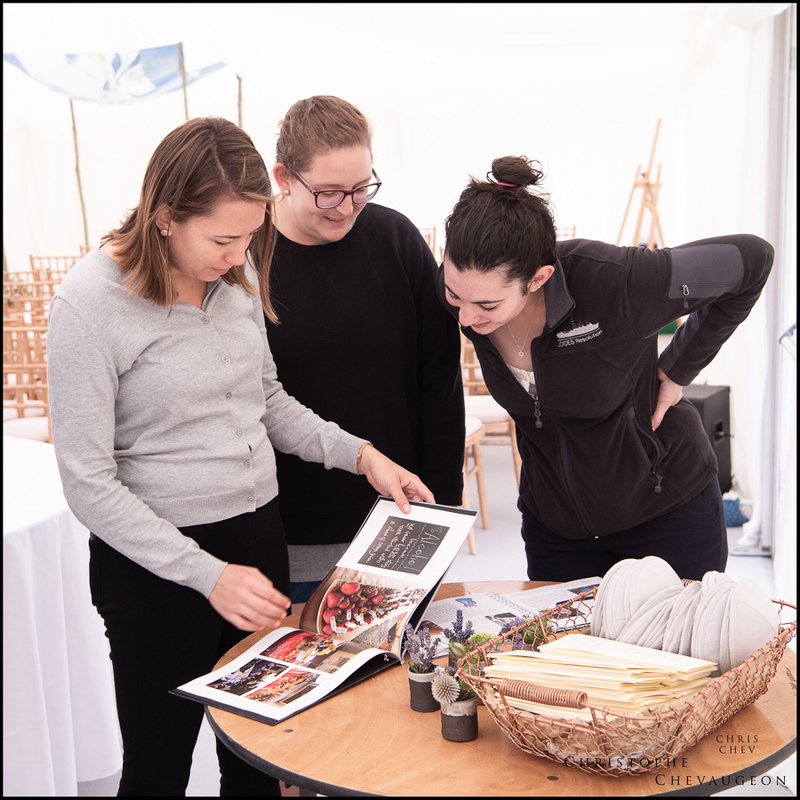 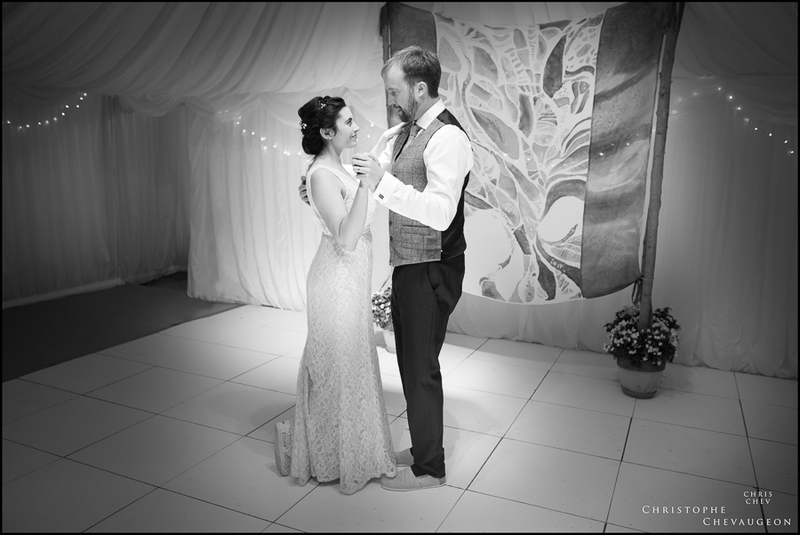 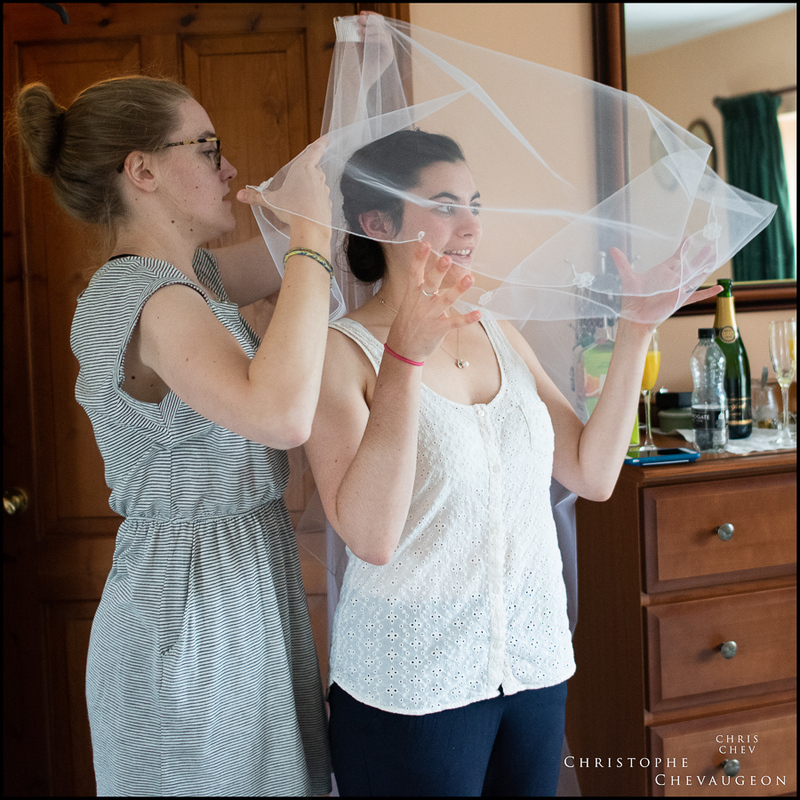 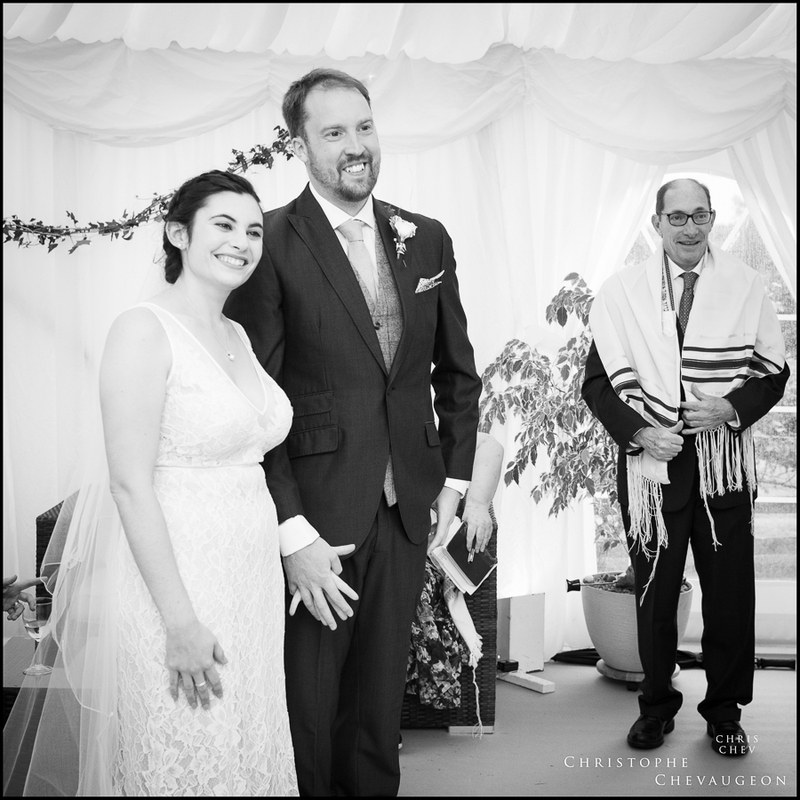 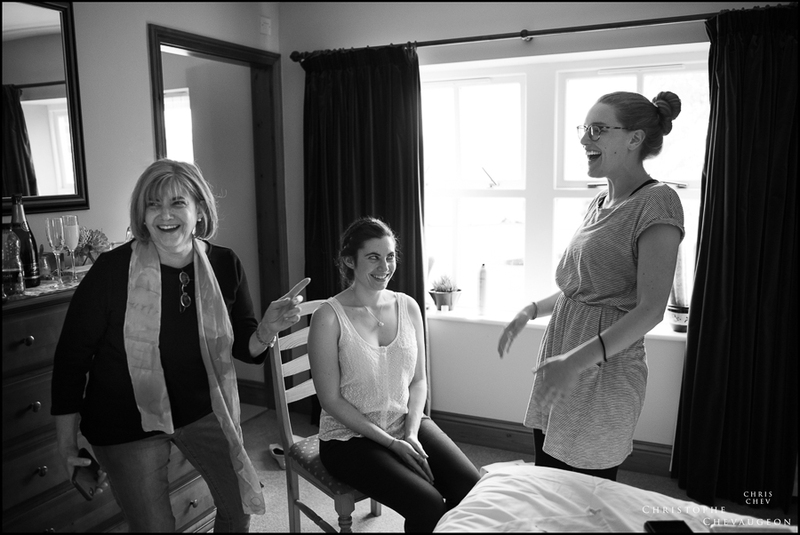 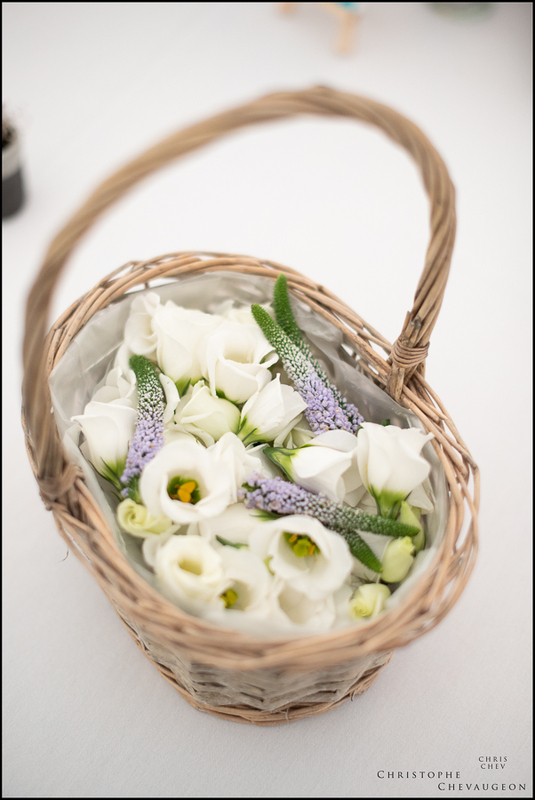 This was a coming together of two faiths, Jewish and Quaker, which combined to make the ceremony extra special in celebrating Martin and Hannah’s love for each other. 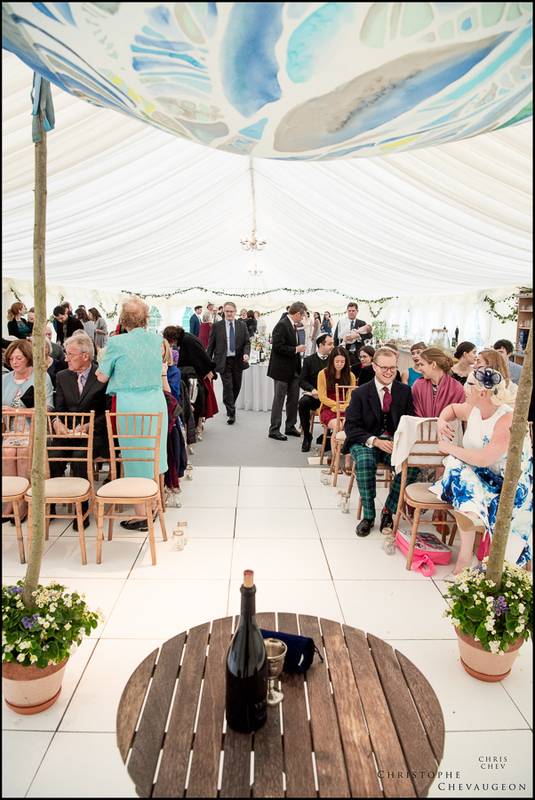 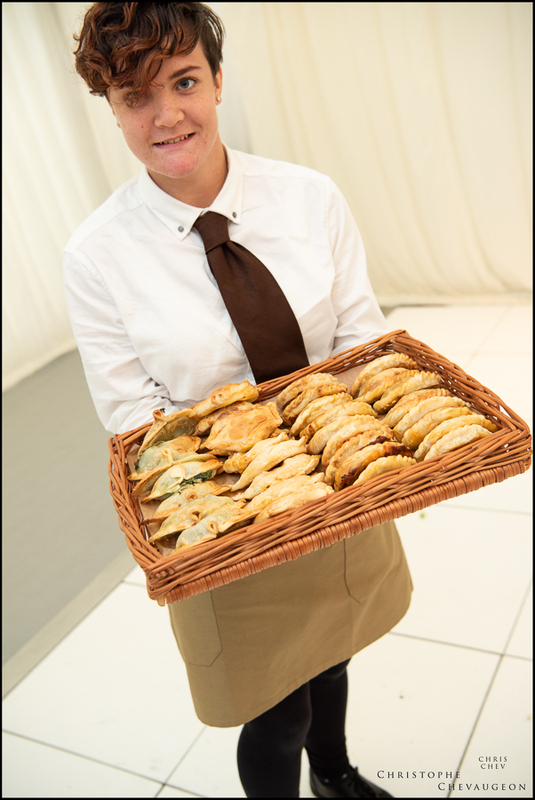 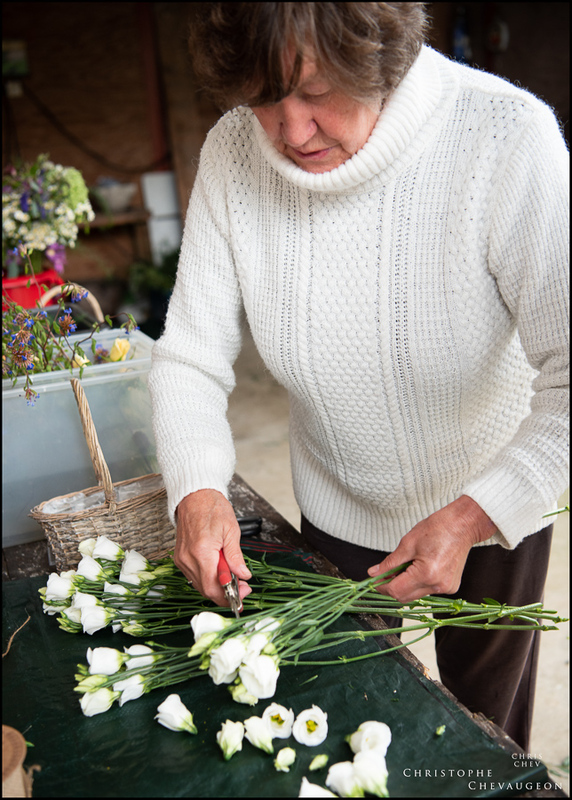 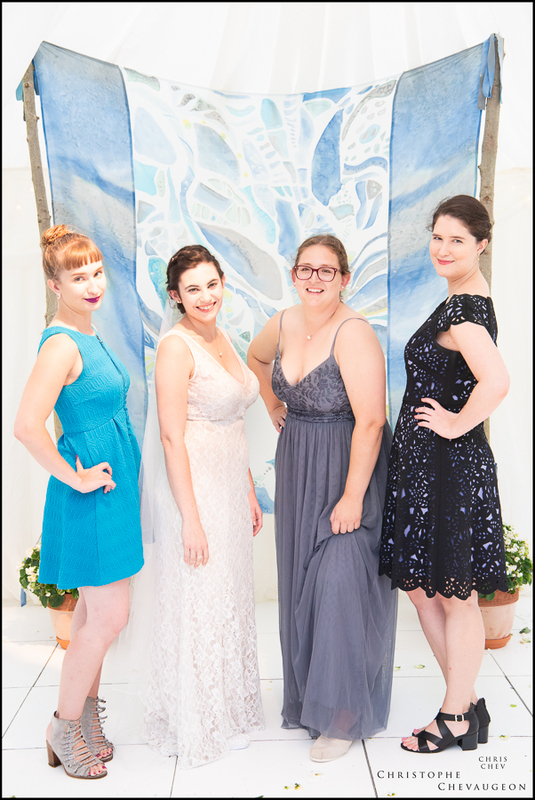 Contributions from family and friends ranged from tasty empanadas, stunning flowers and venue decoration. 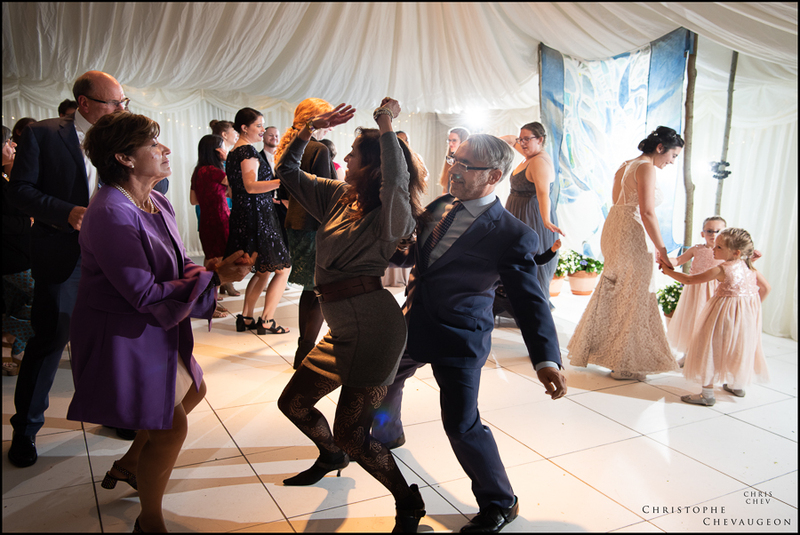 This was truly a celebration focused on everyone taking part. 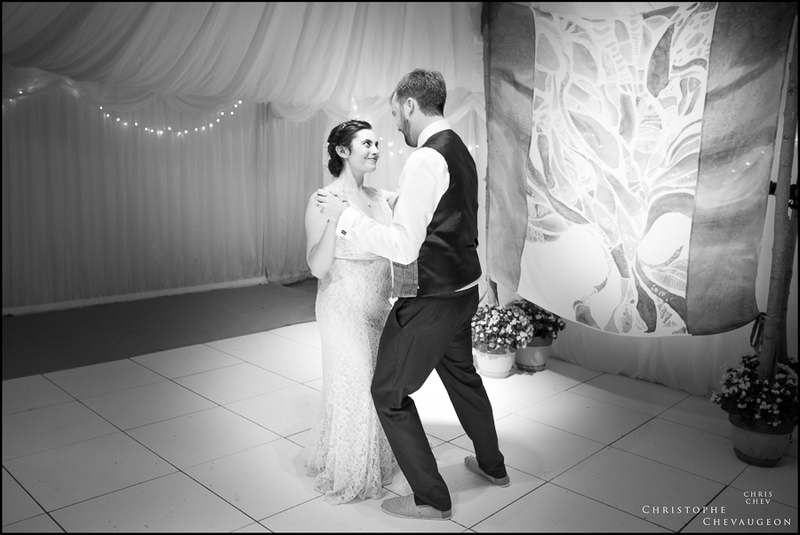 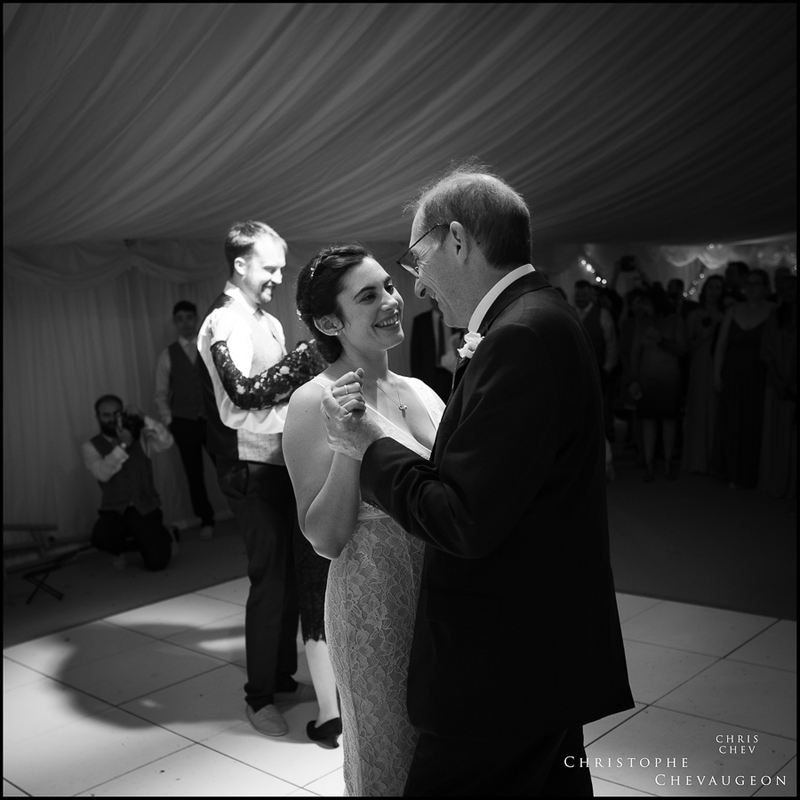 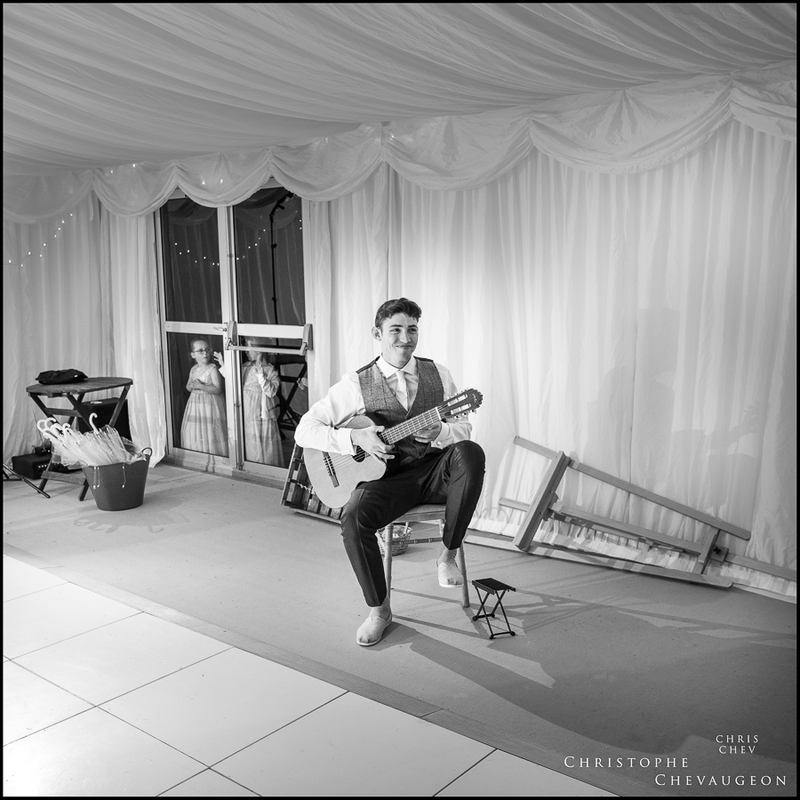 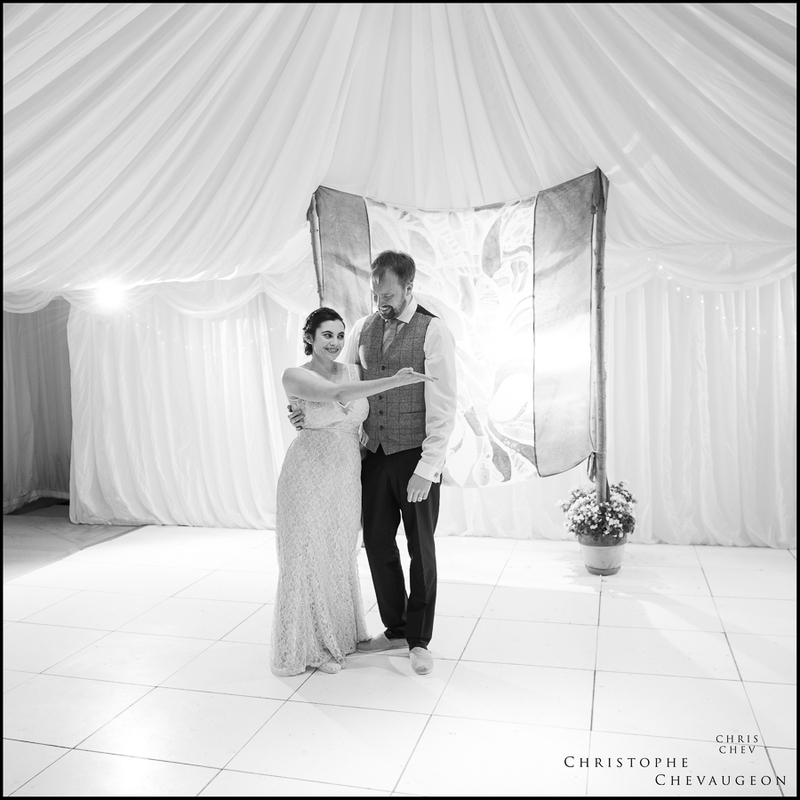 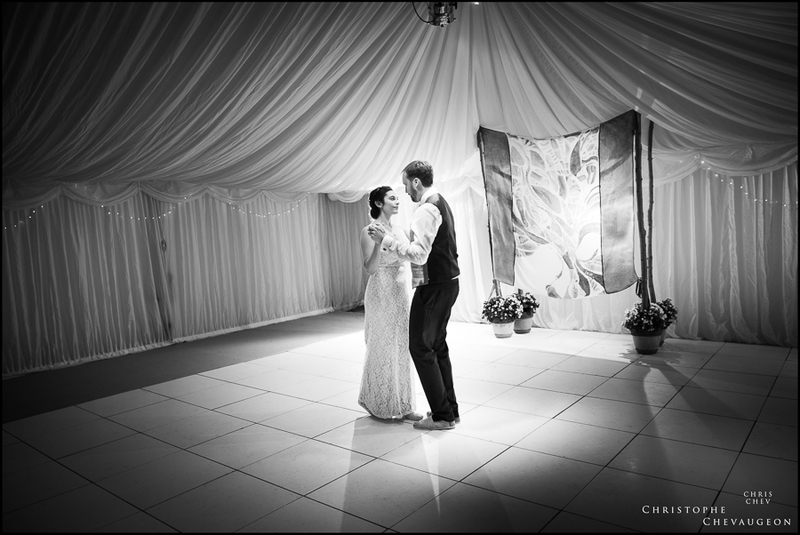 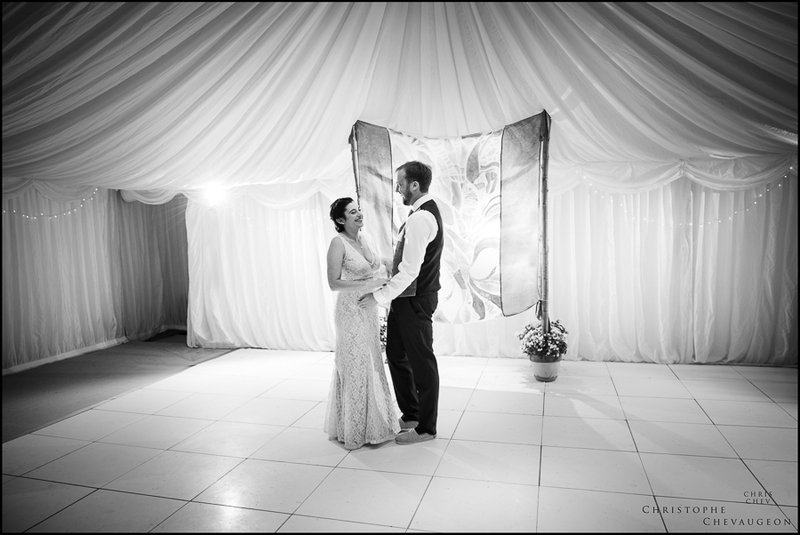 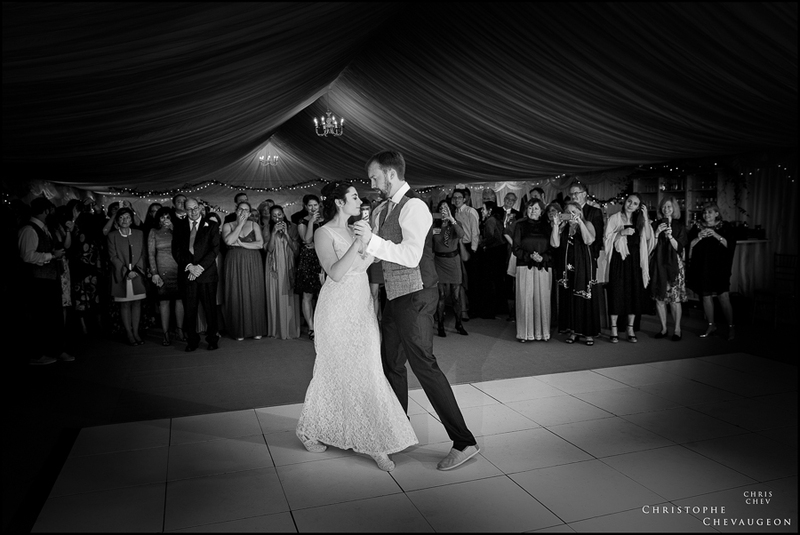 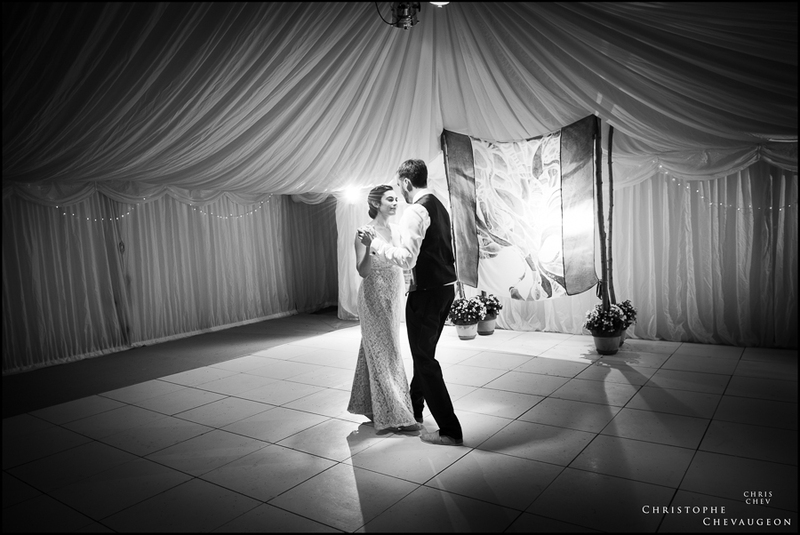 Hannah’s brother played a tango on the guitar for the first dance, followed by a traditional and very lively Hora. 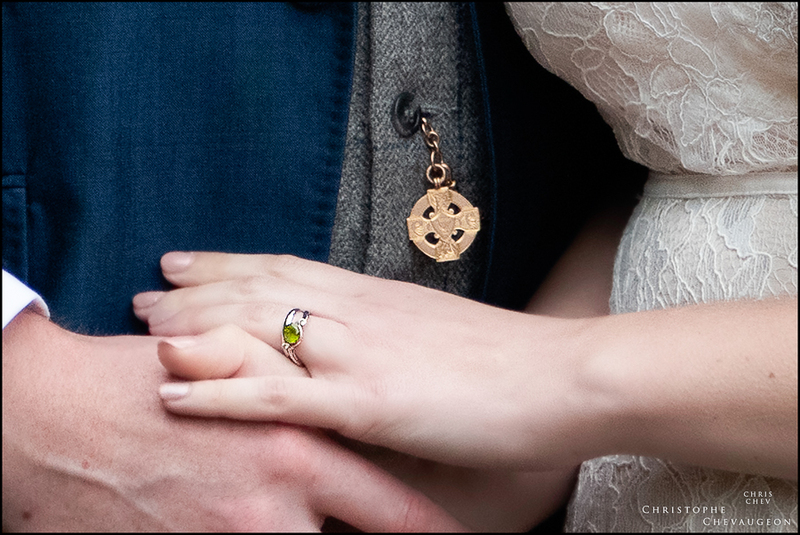 What a special joining together on so many levels, in so many ways. 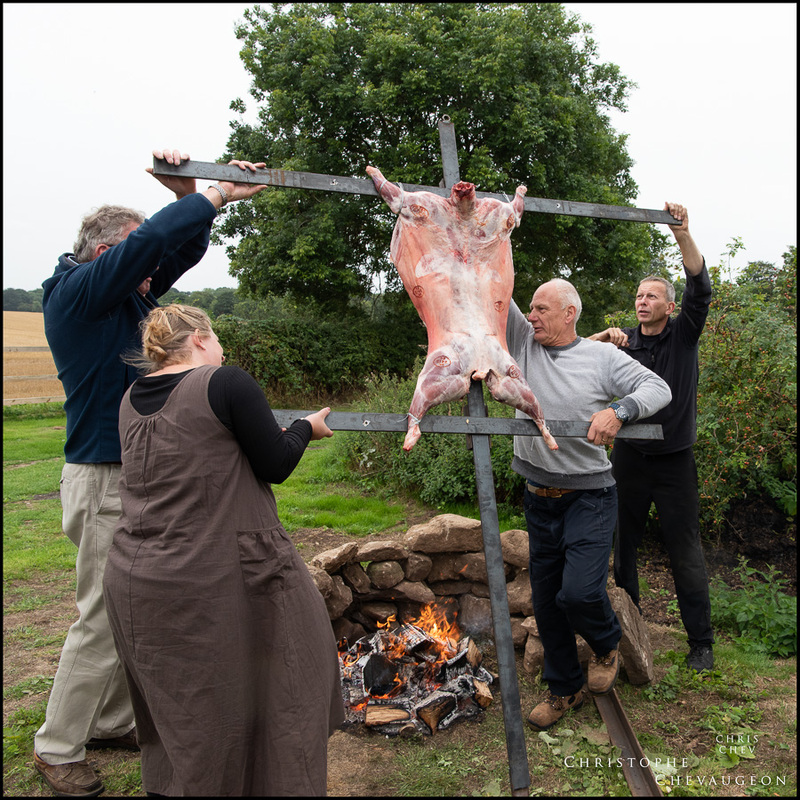 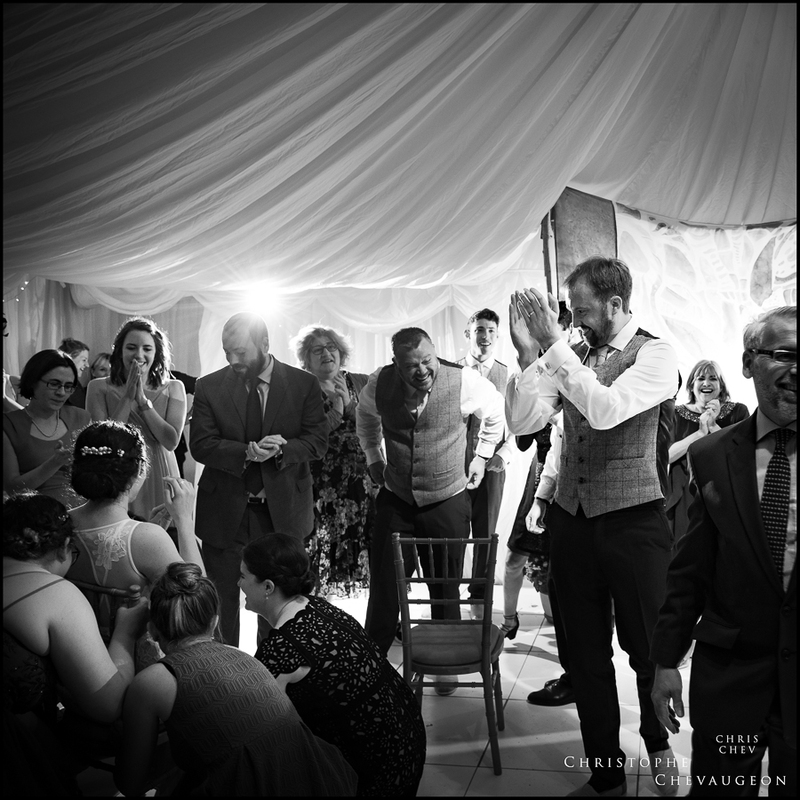 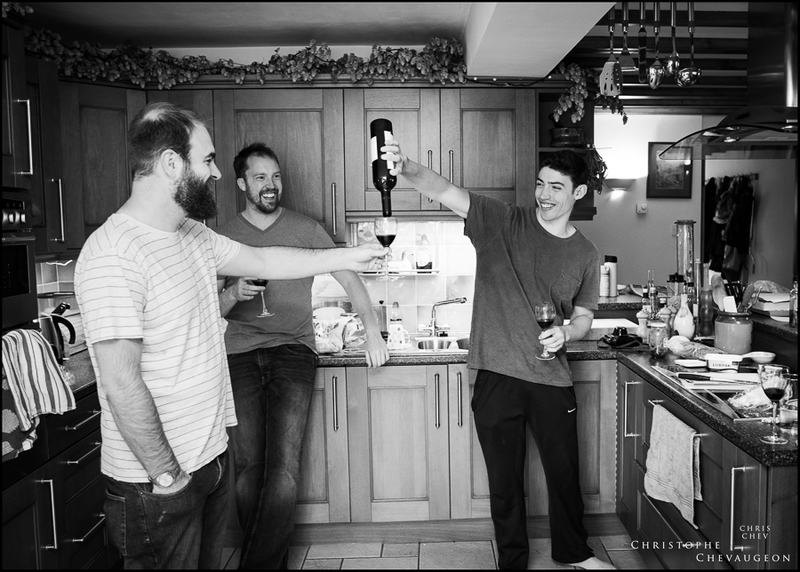 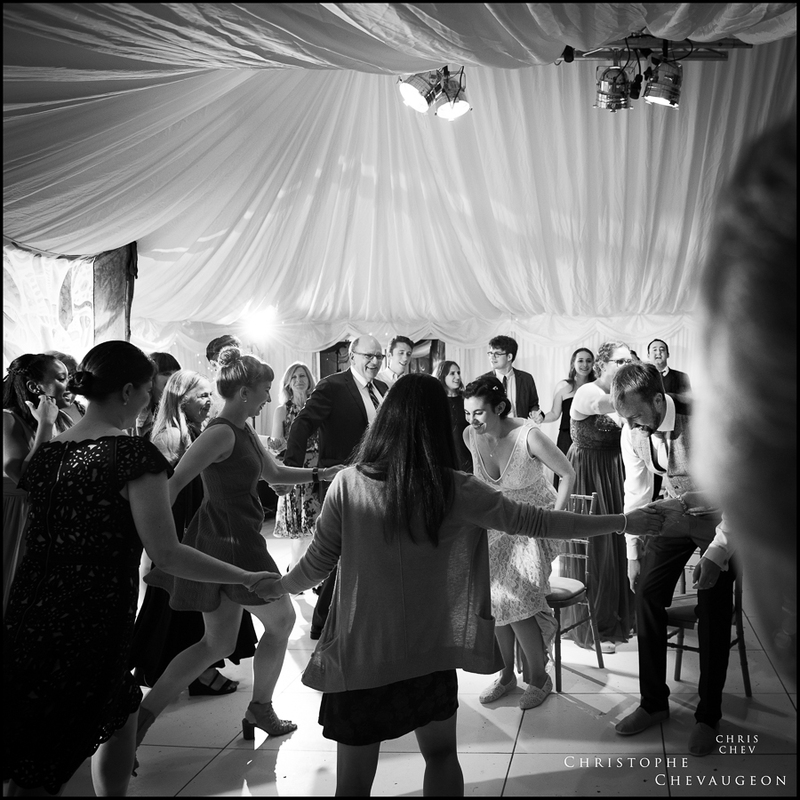 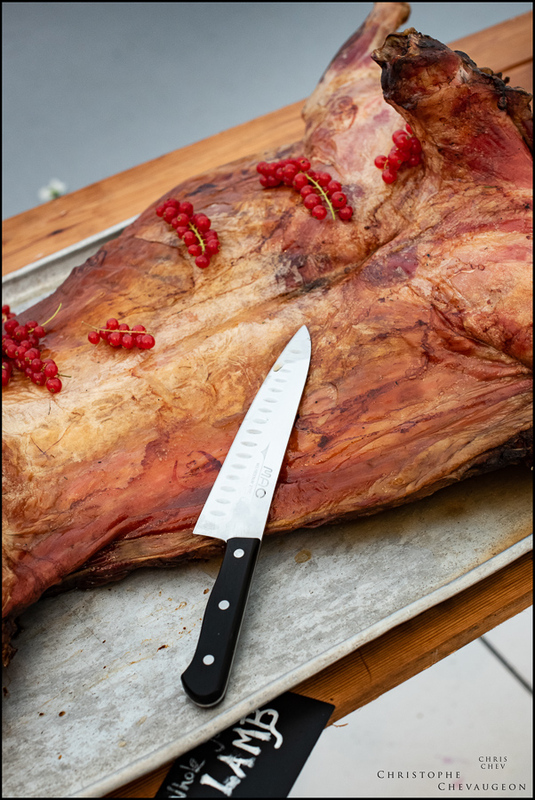 When I finally tore myself away just before midnight, it was still a very joyous party…. 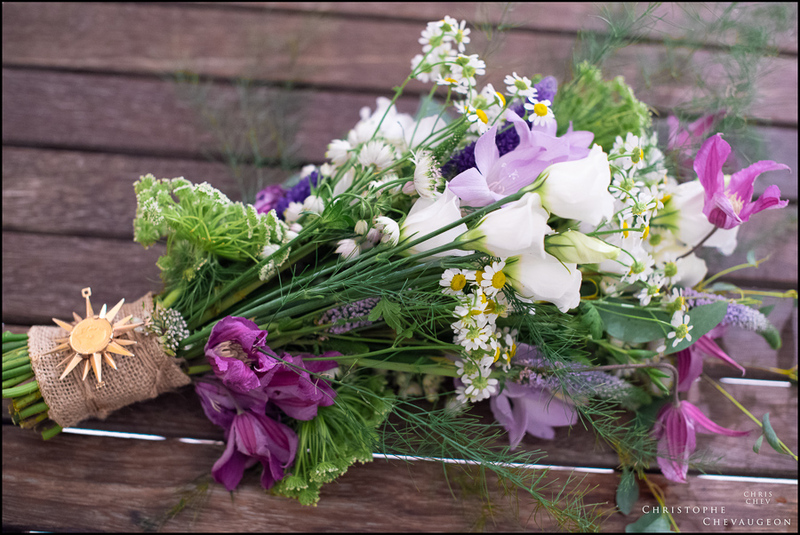 thank you for allowing me to be part of it! 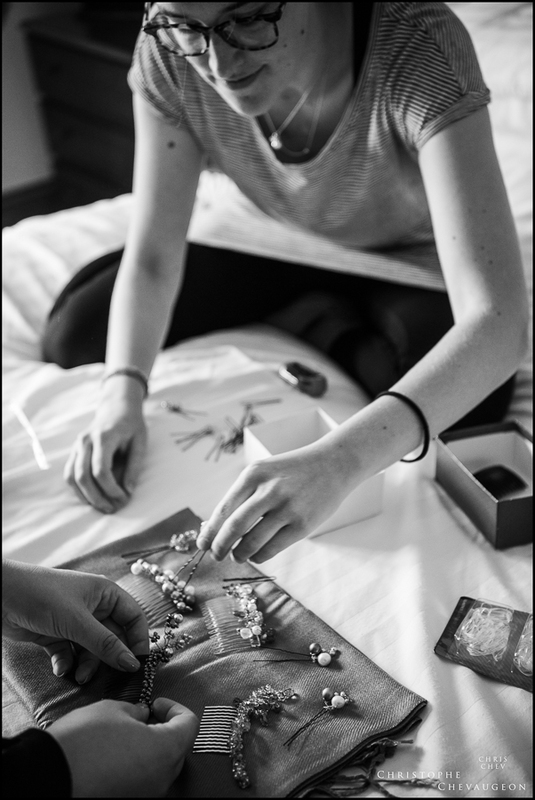 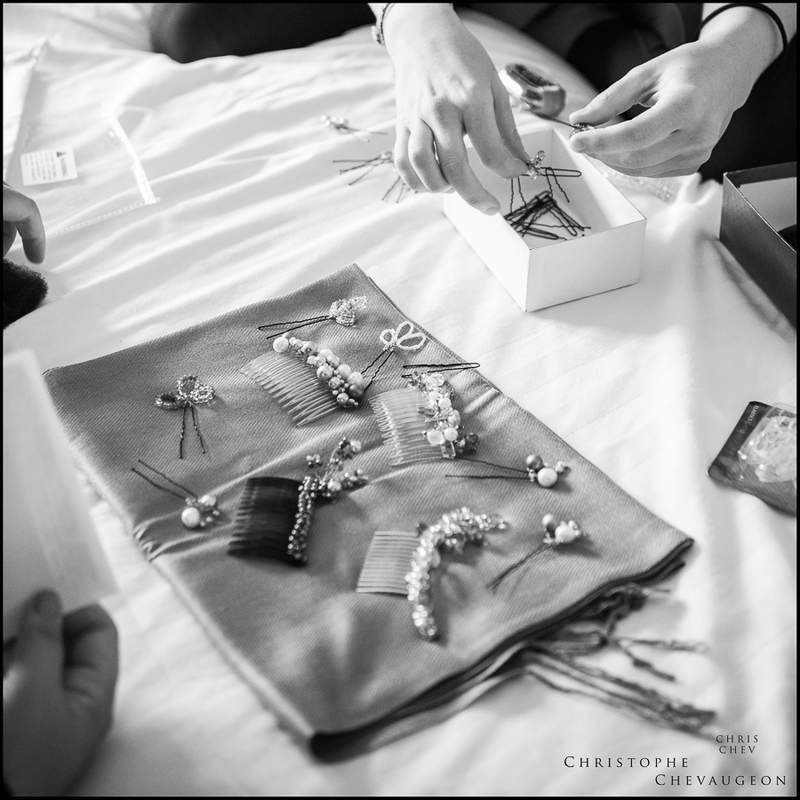 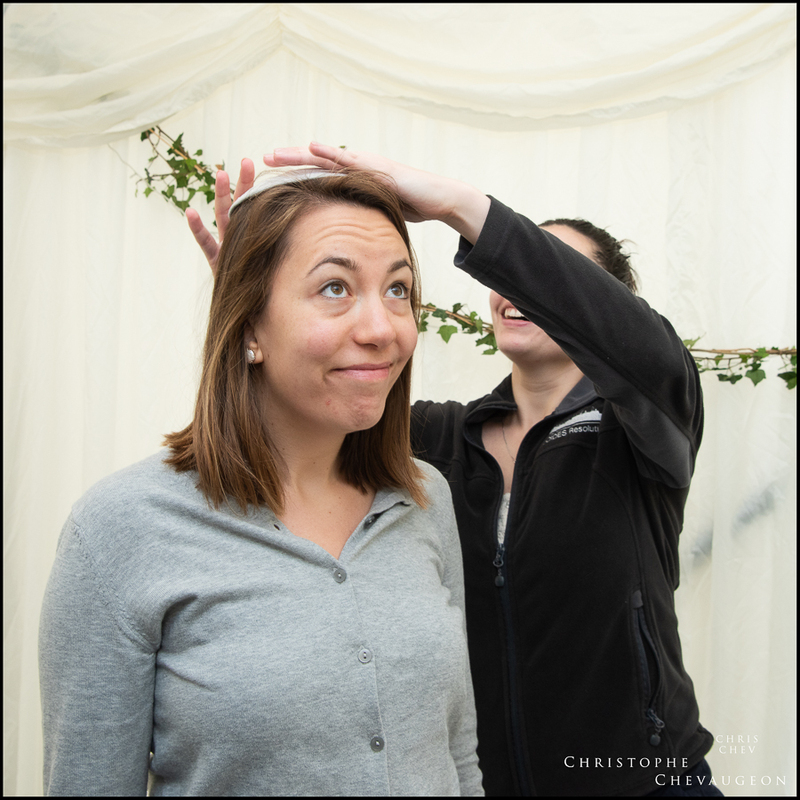 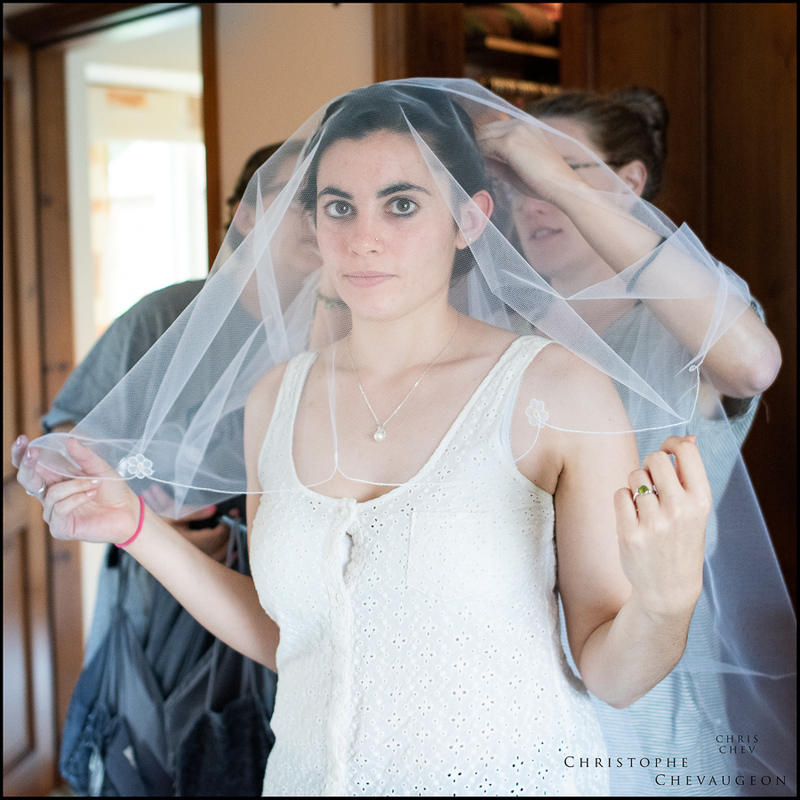 The Groom confirms that it is the right Bride under the veil !